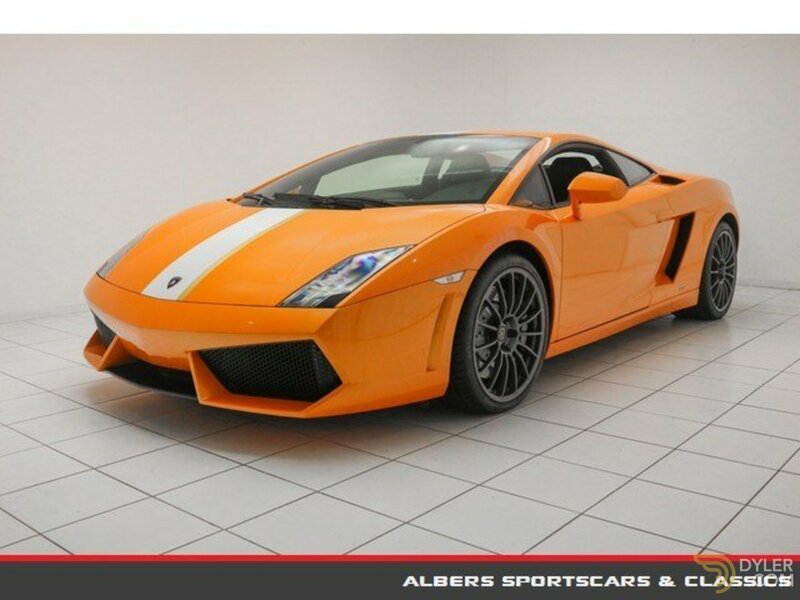 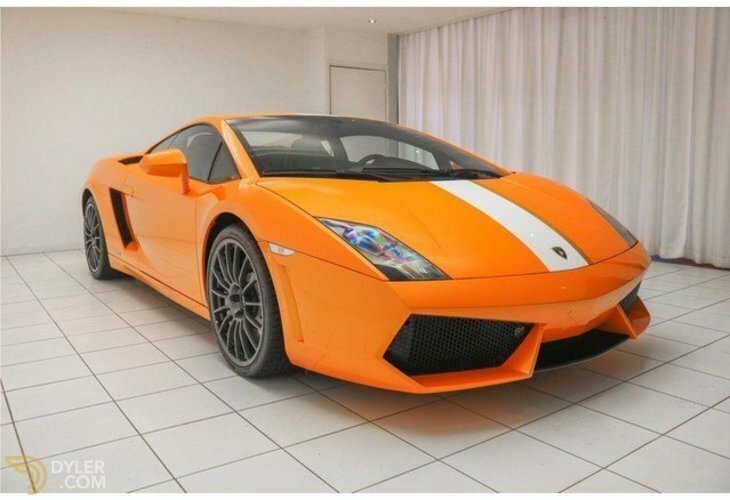 A unique Lamborghini Gallardo LP550-2 Valentino Balboni from 2010! 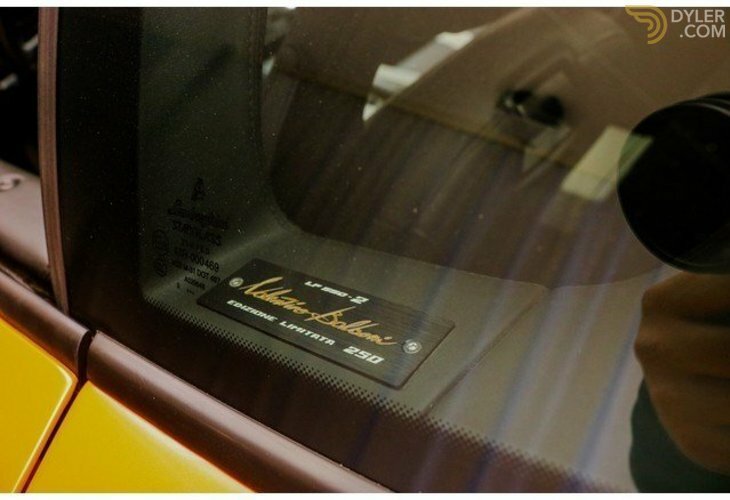 1 of the 250 limited Valentino Balboni versions built! 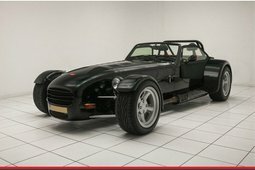 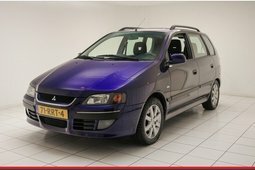 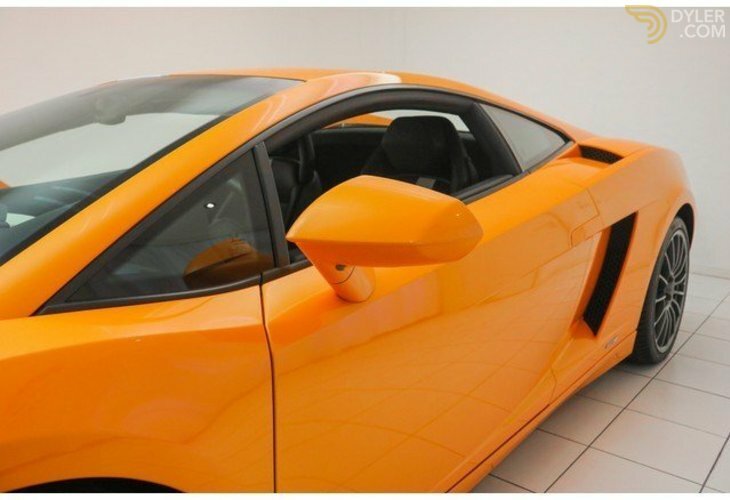 Including full history, demonstrable mileage and completely in his first paint! 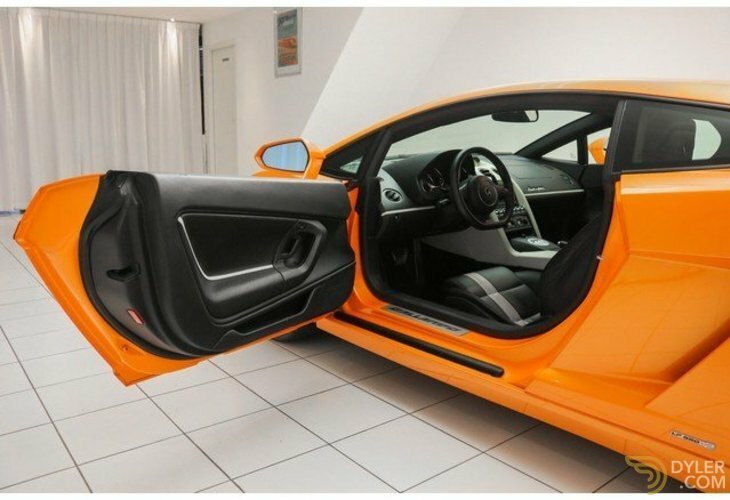 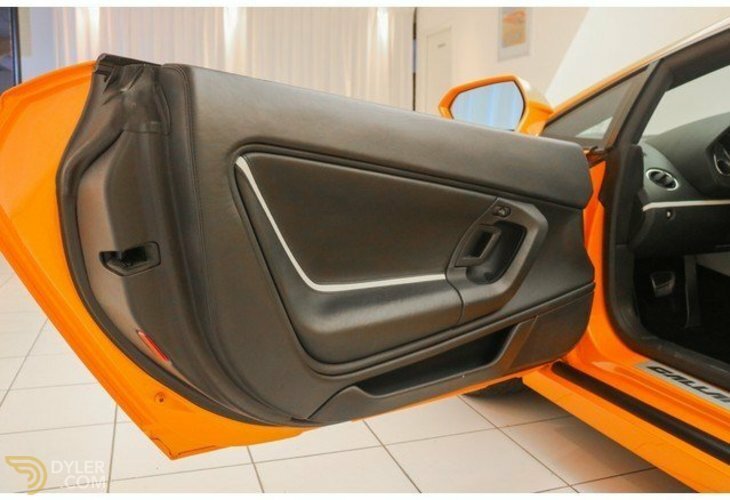 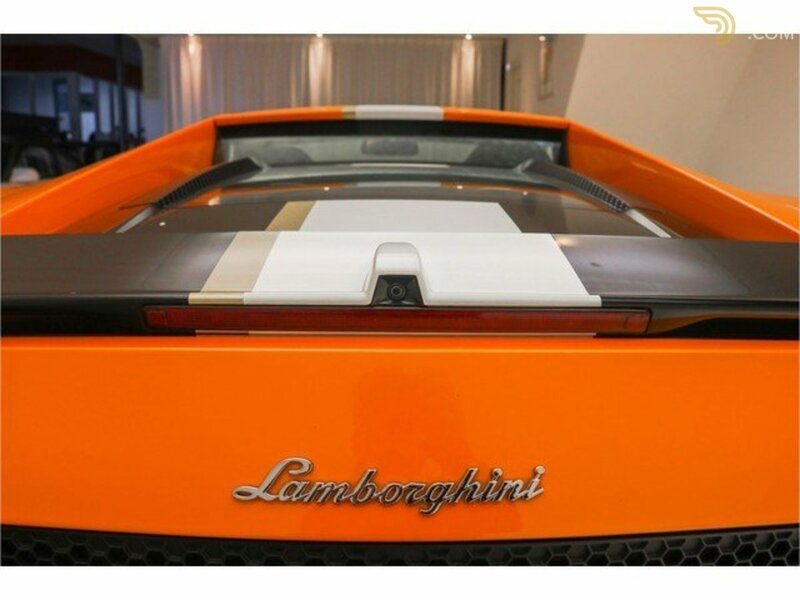 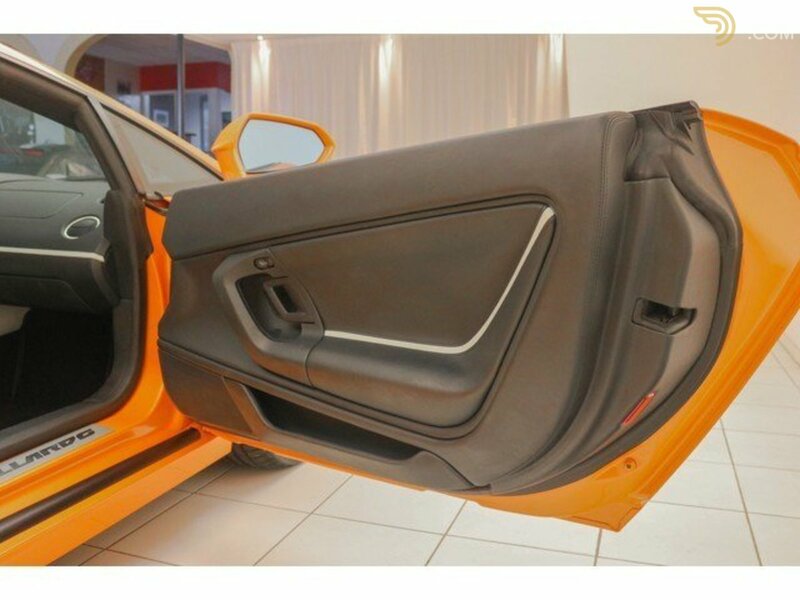 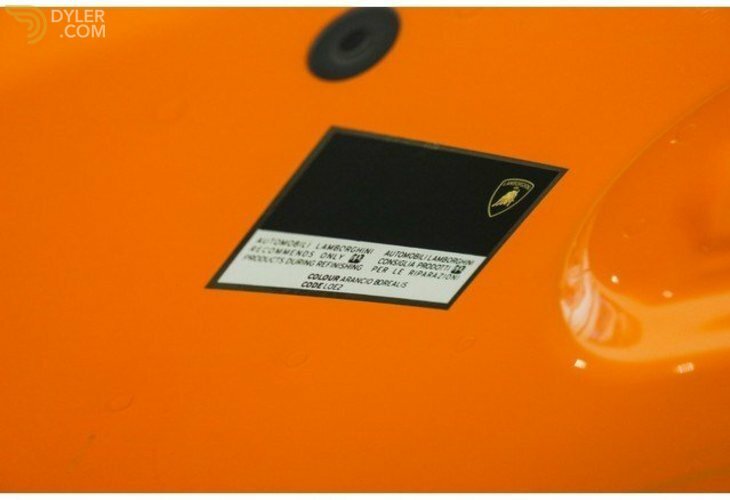 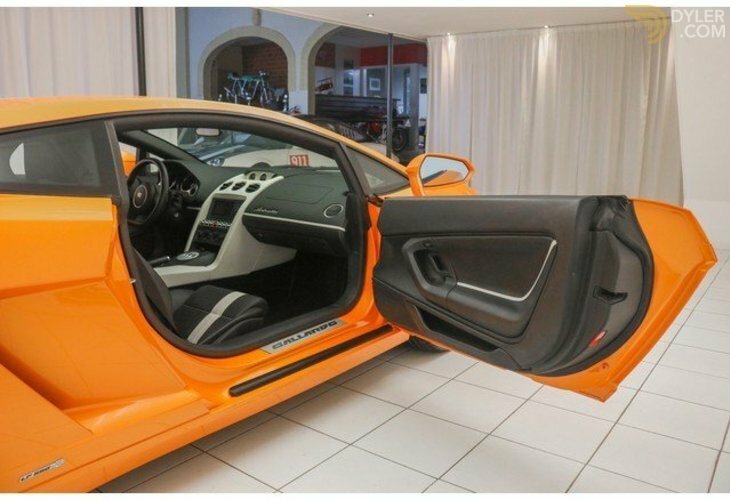 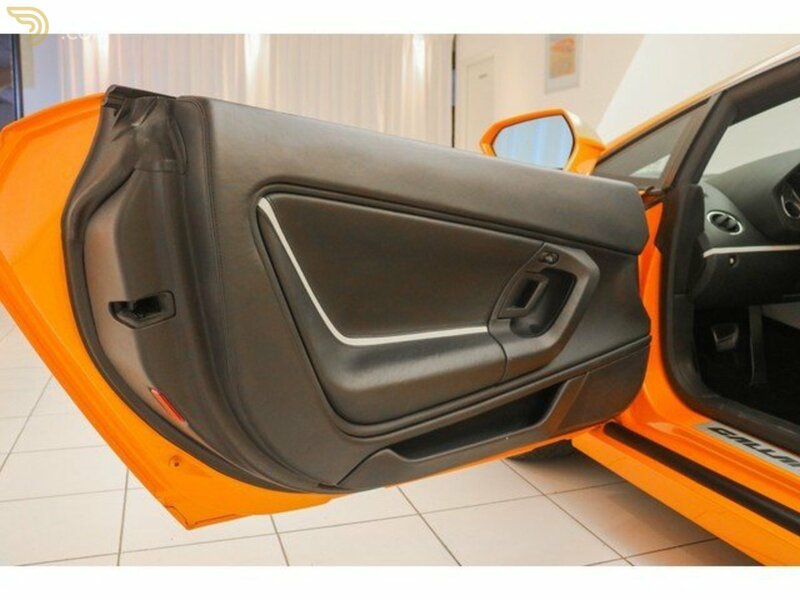 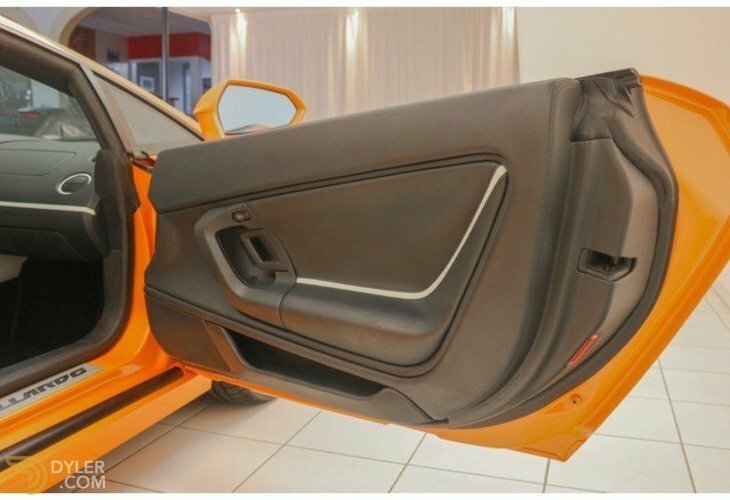 The exterior of this Lamborghini is executed in its original colour Arancio Borealis, the complete car is in its first paint! 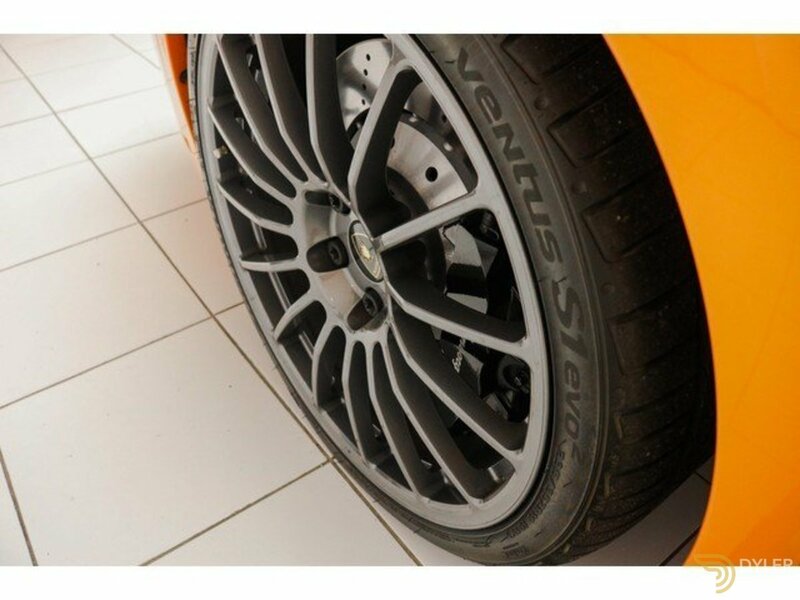 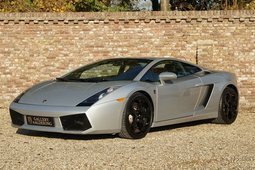 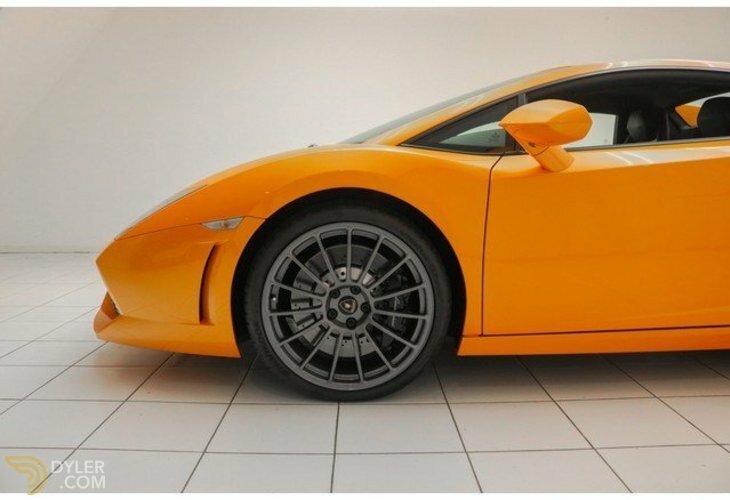 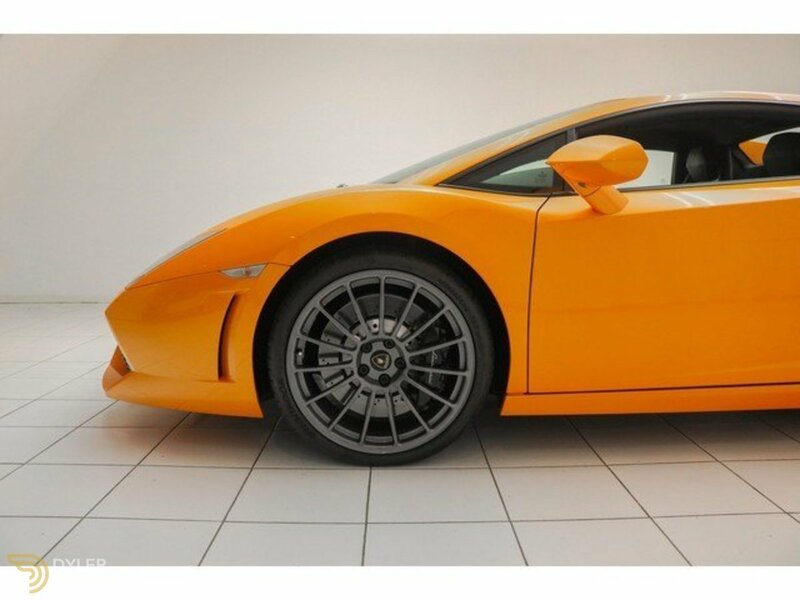 Underneath this Gallardo are the beautiful, original aluminium rims present, also these are in perfect condition. 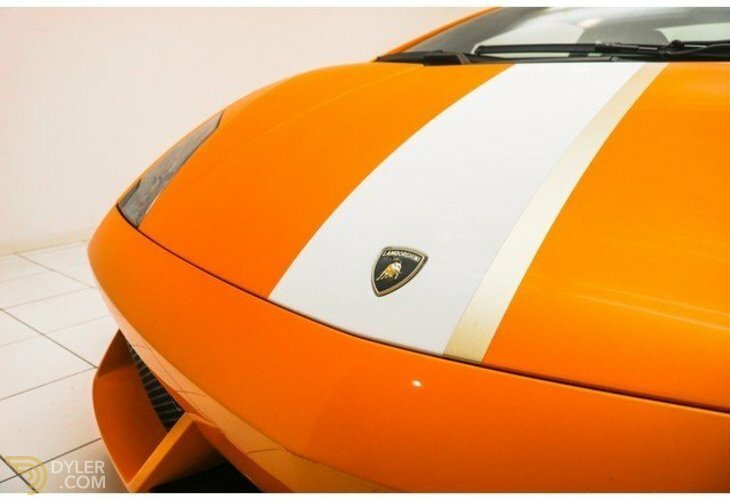 Furthermore, the exterior is recognizable by the white with gold striping over the entire car, also the Valentino Balboni version has a black bonnet. 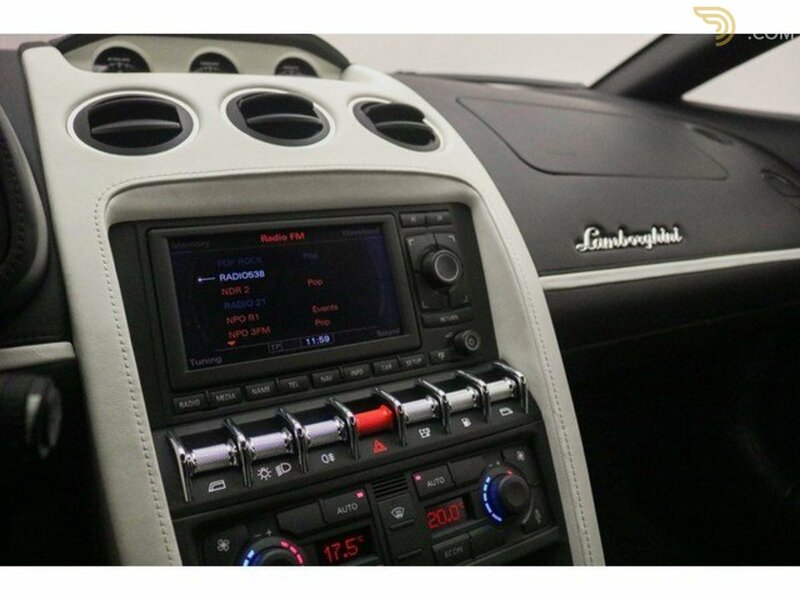 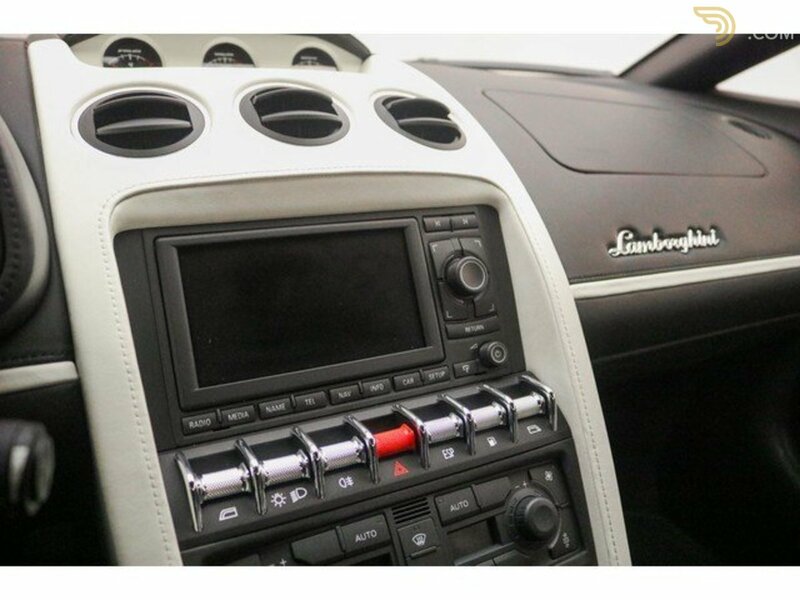 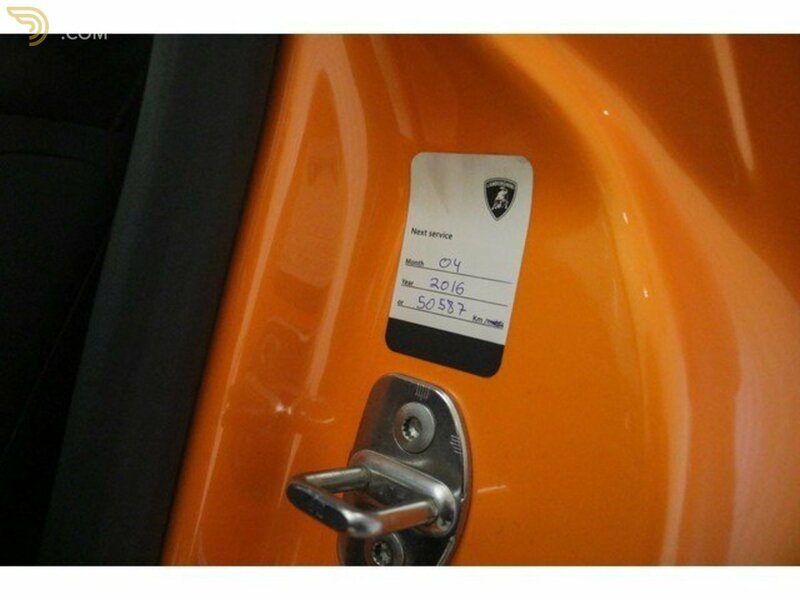 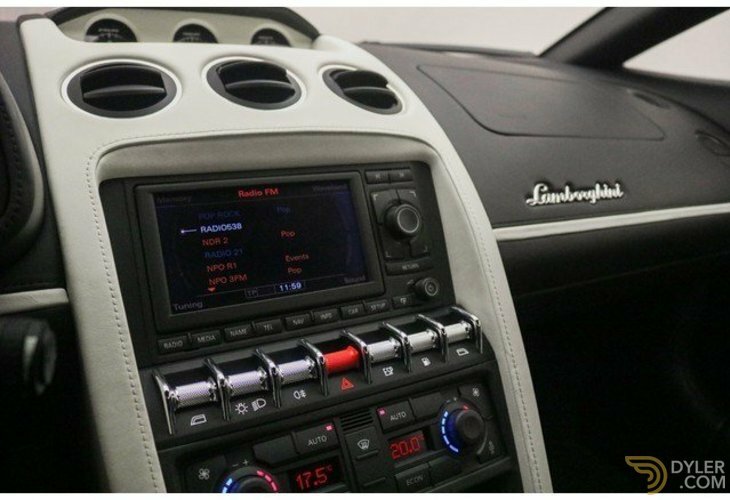 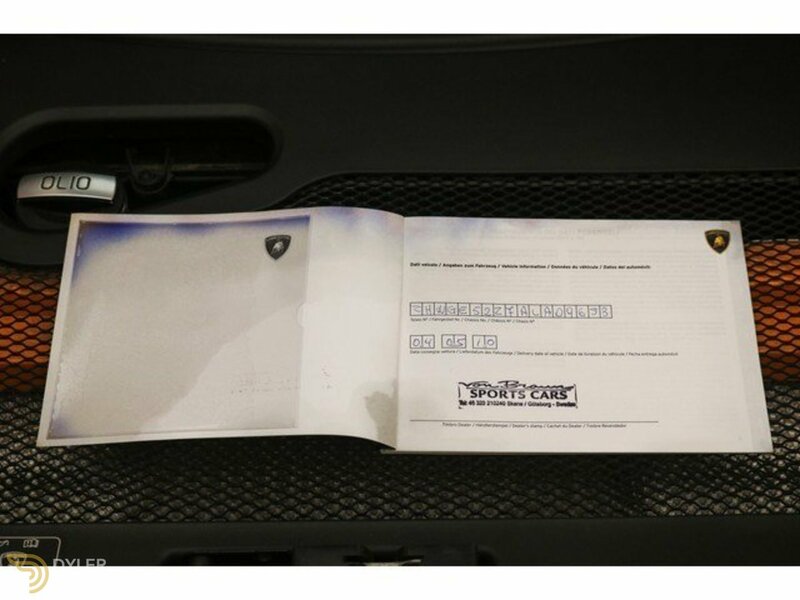 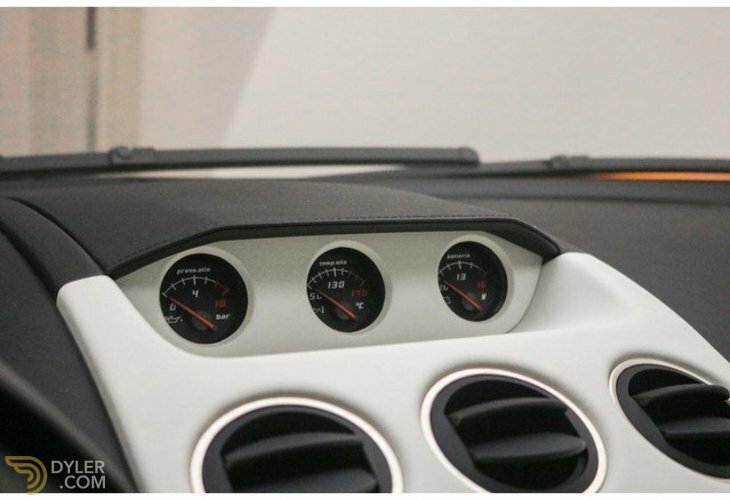 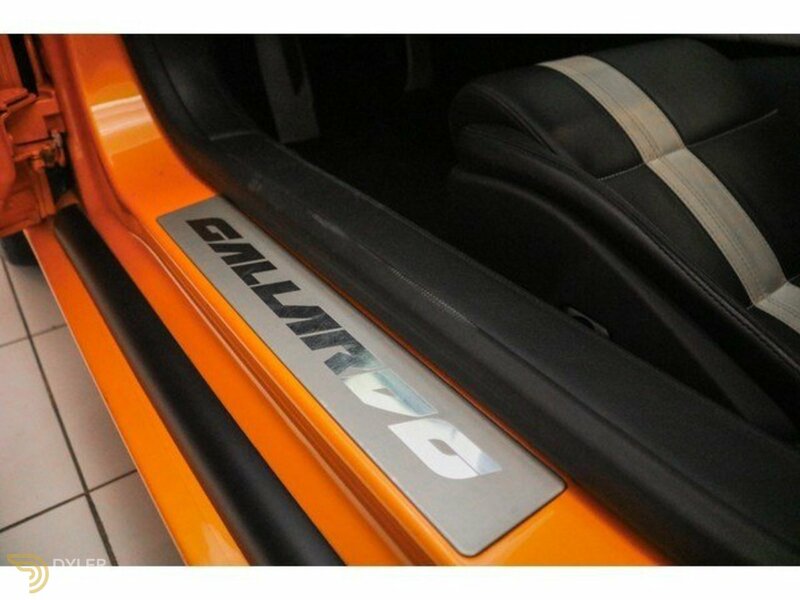 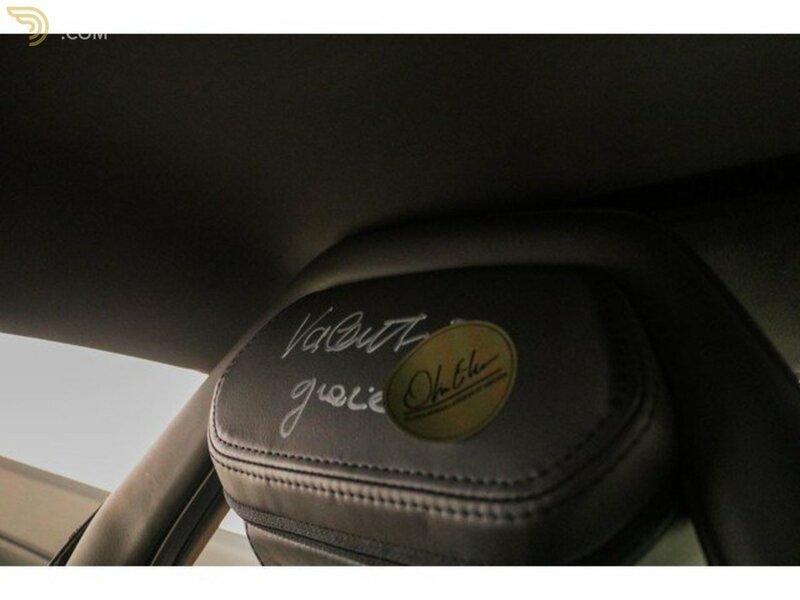 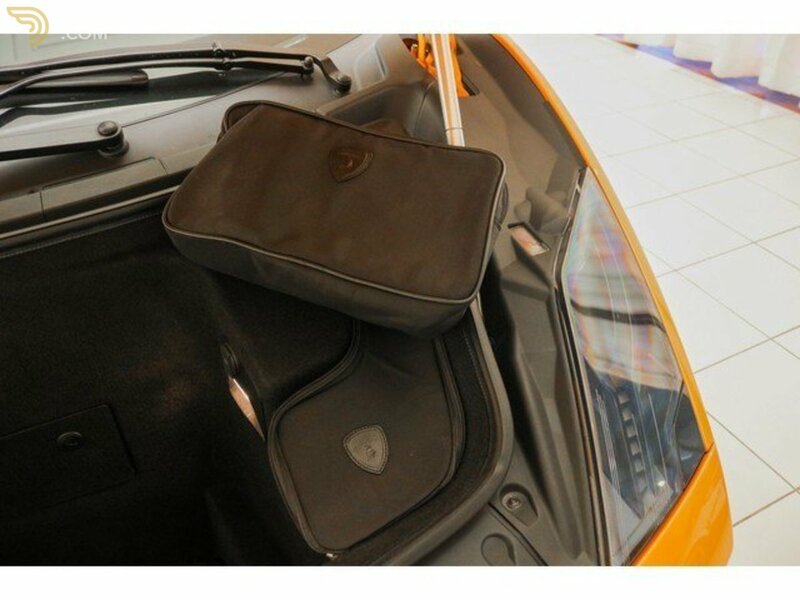 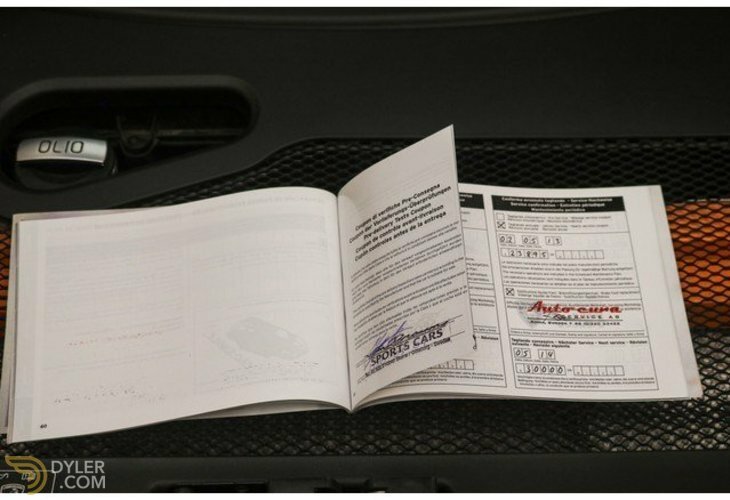 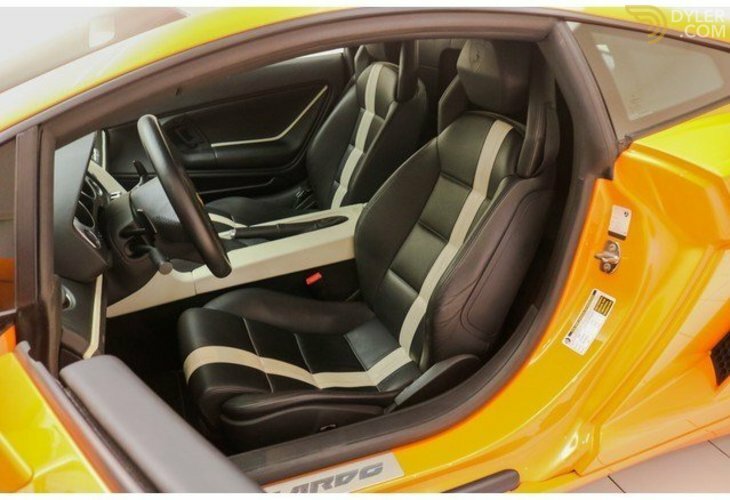 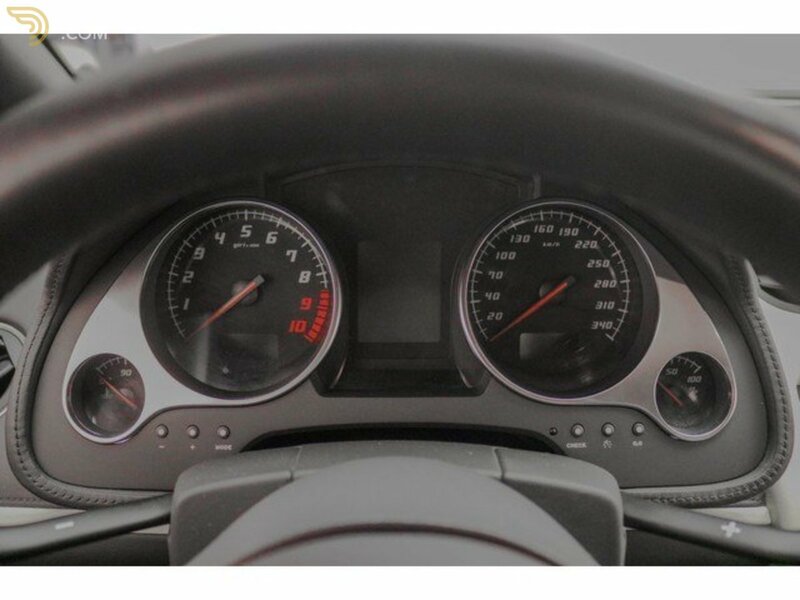 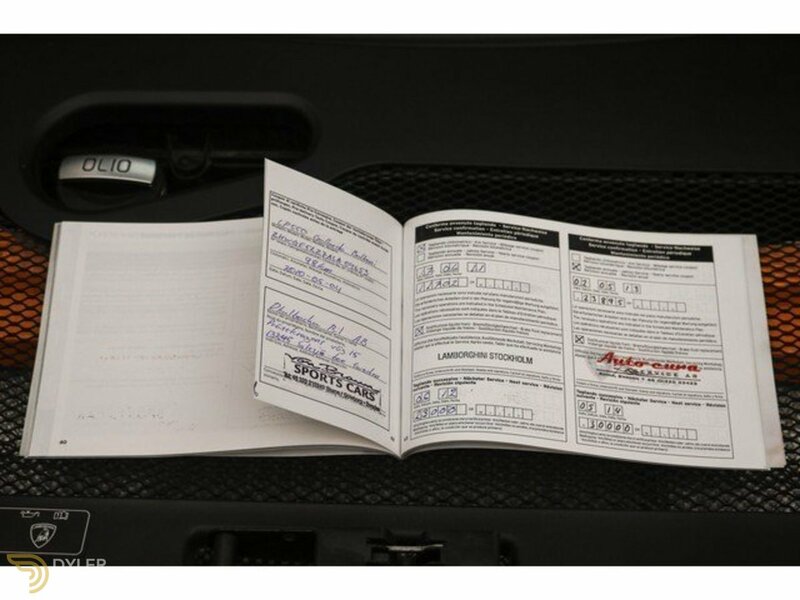 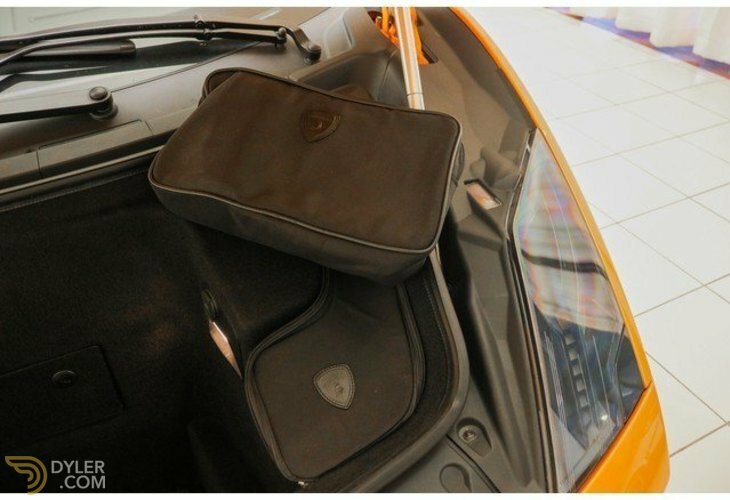 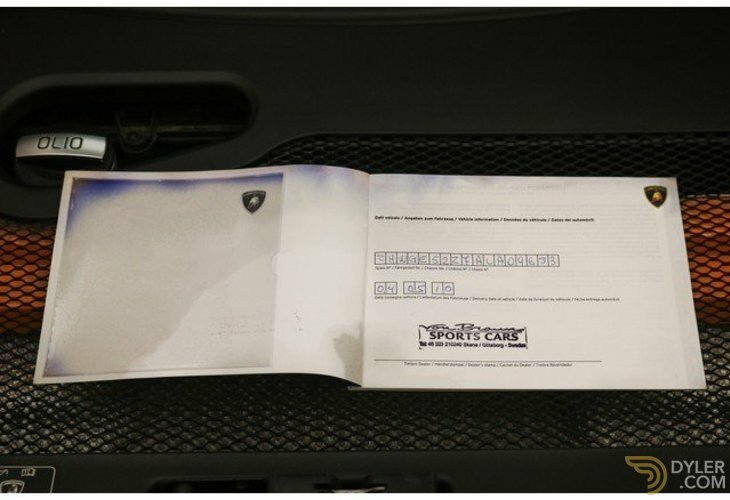 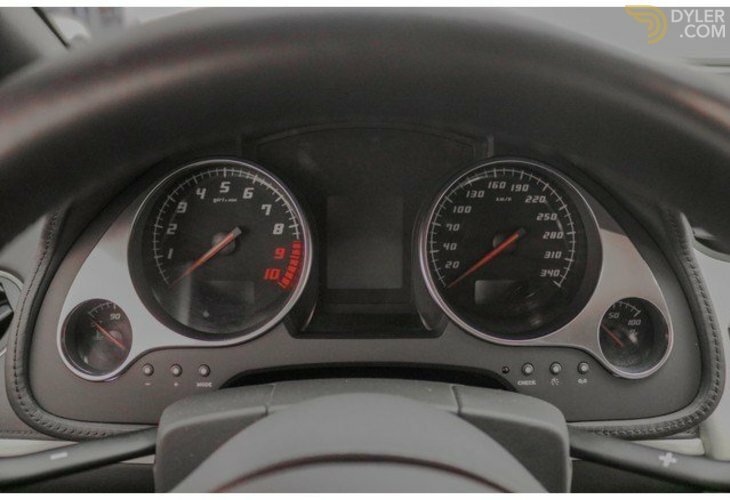 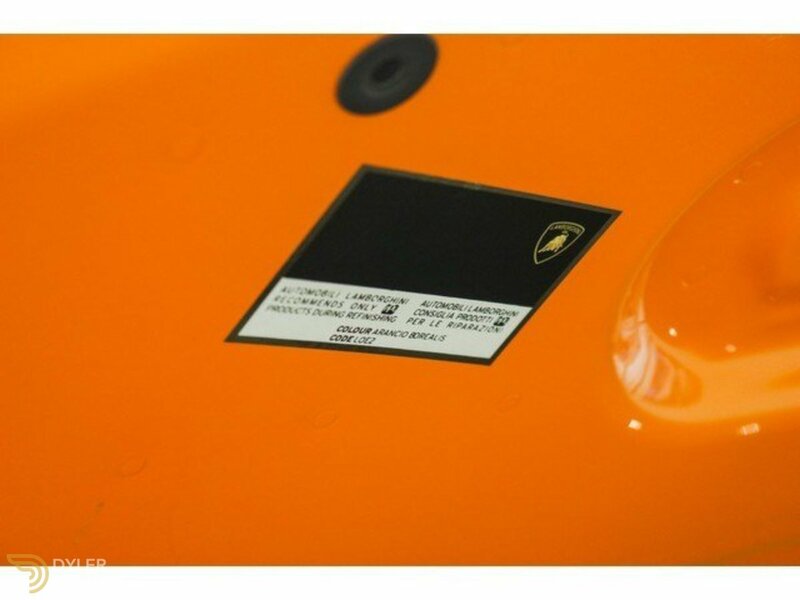 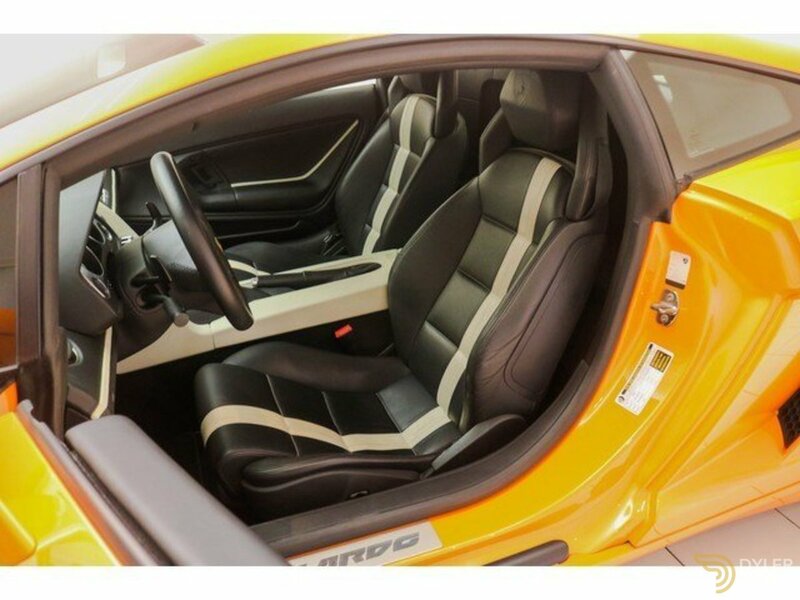 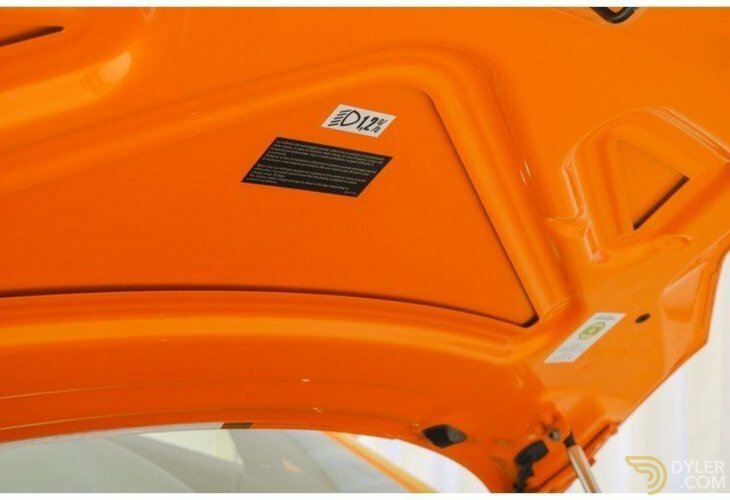 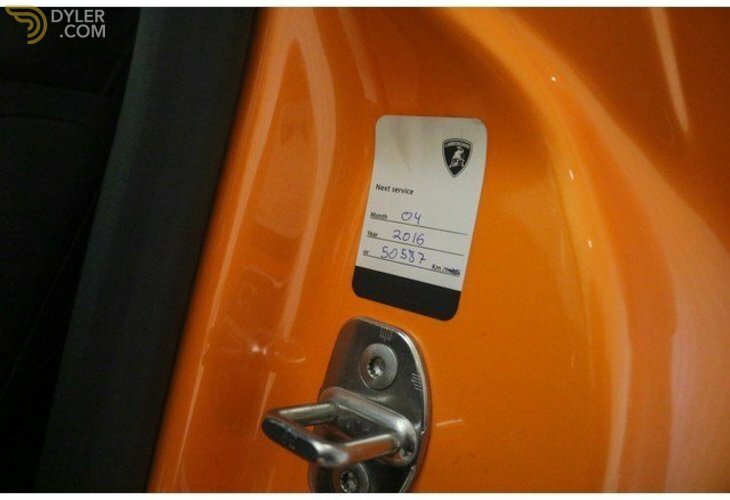 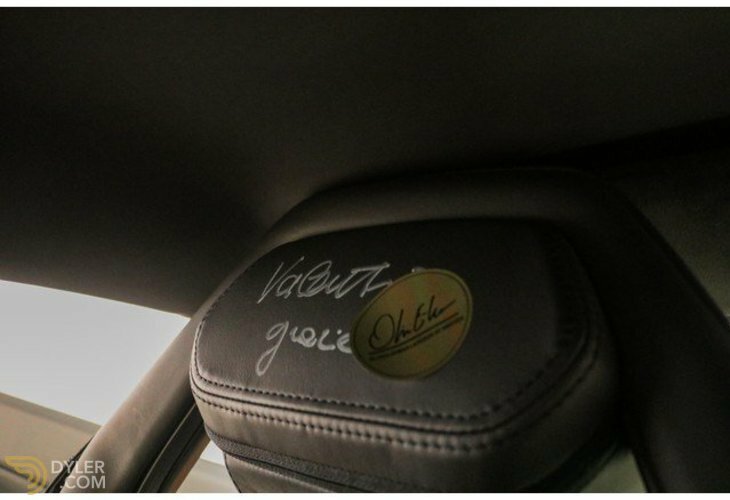 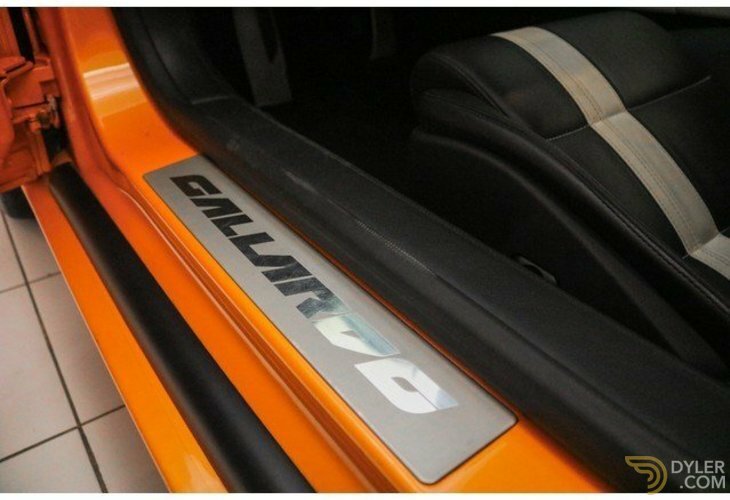 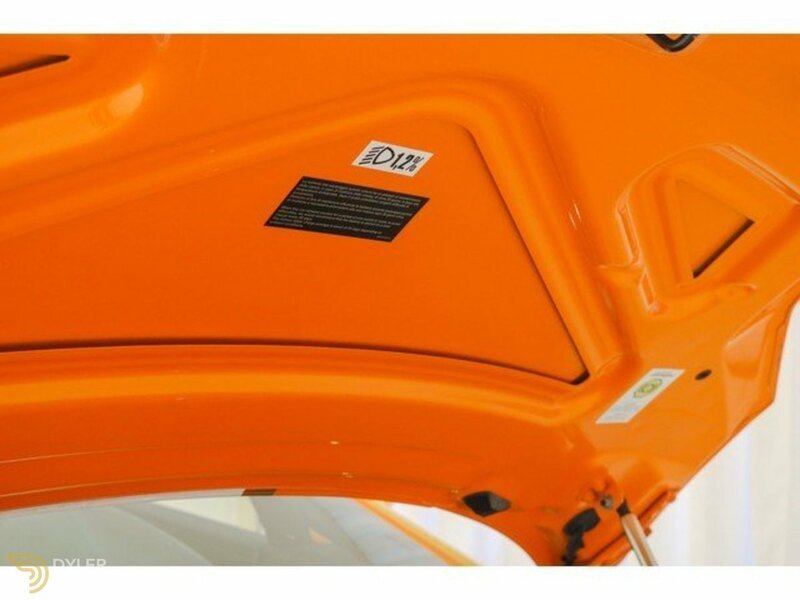 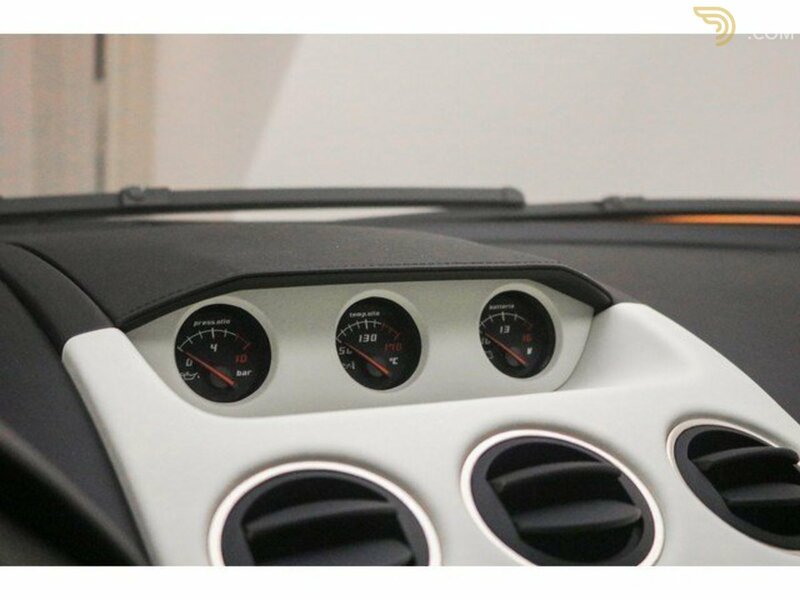 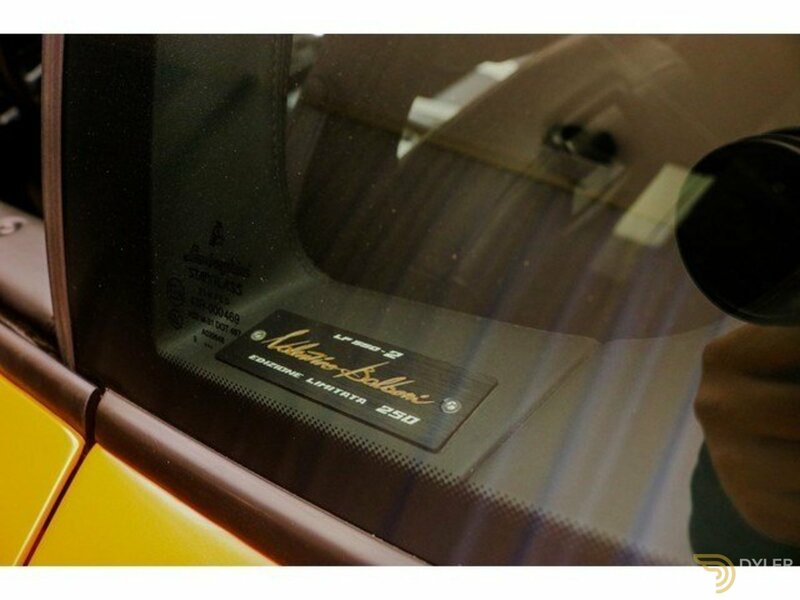 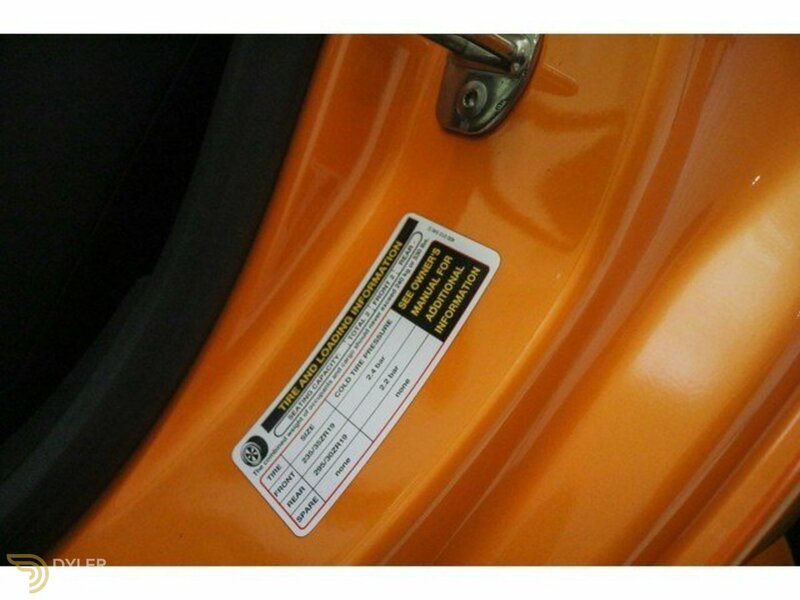 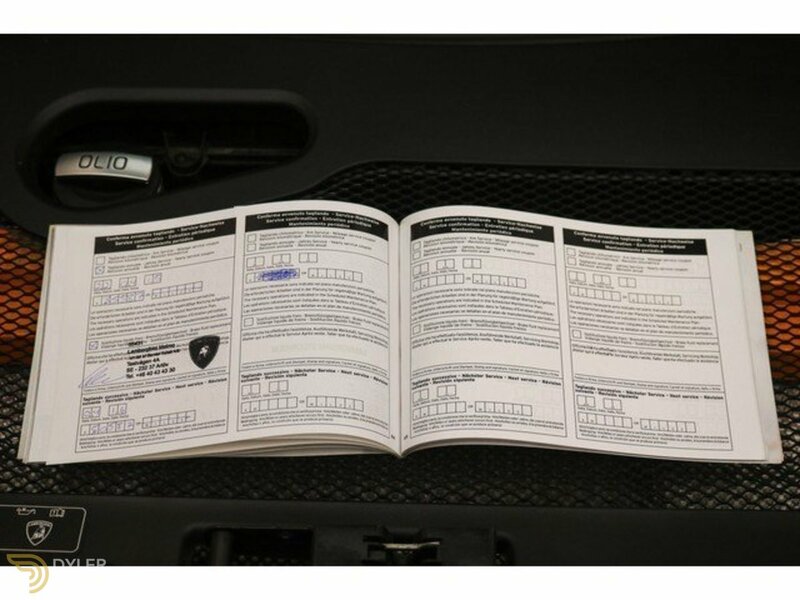 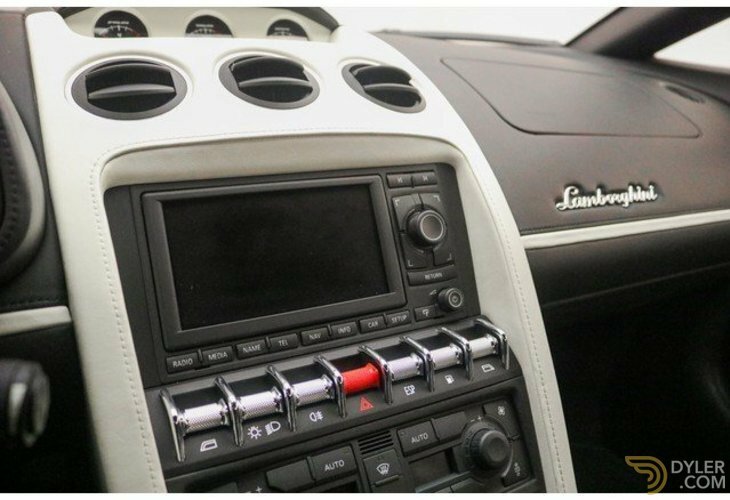 The interior of the Gallardo is in top condition, completely original and including the original signature including sticker from Valentino Balboni on the left headrest. 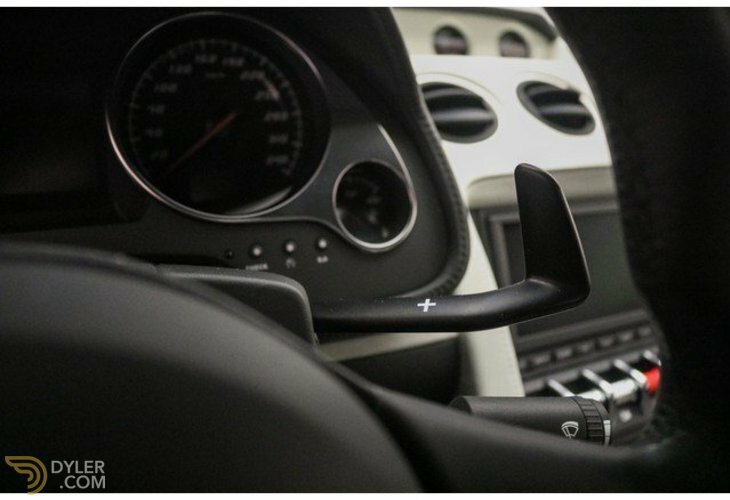 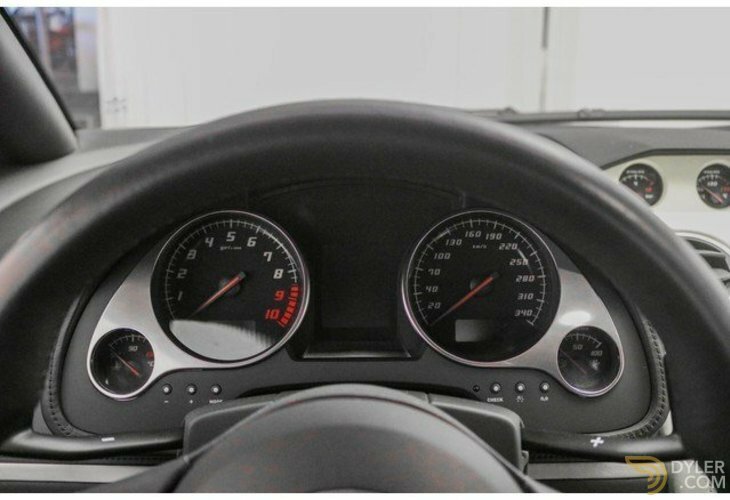 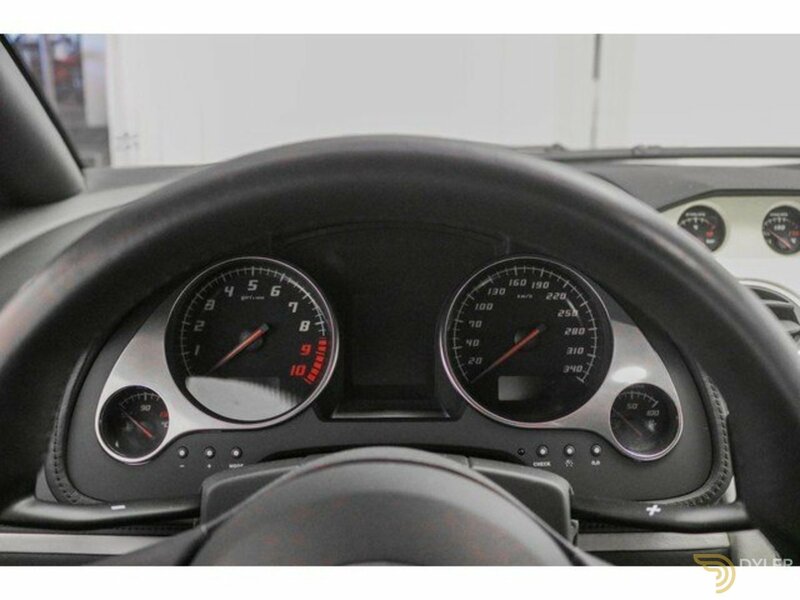 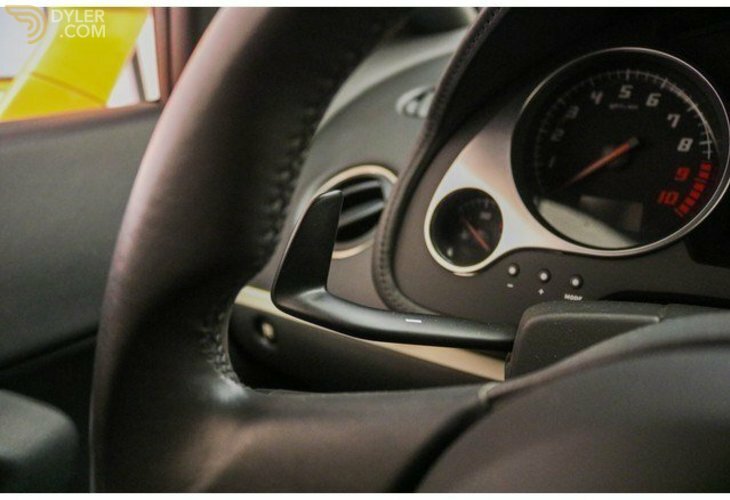 The steering wheel is in perfect condition and equipped with 2 beautiful shift paddles. 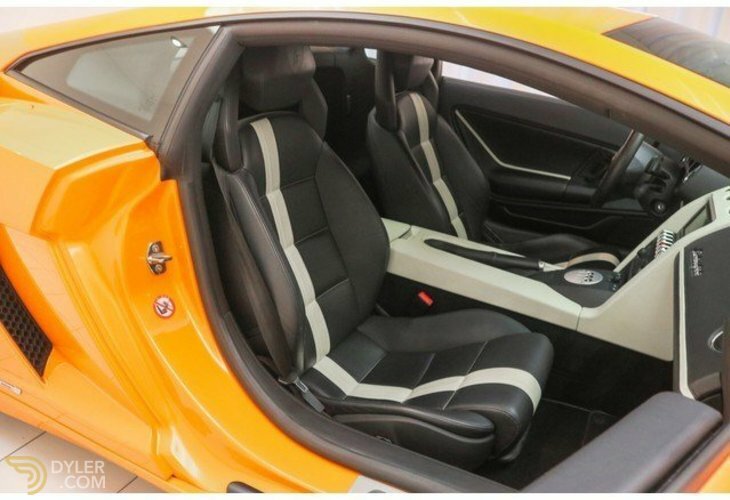 Furthermore, the interior is done in a 2 colour pattern, Black leather with white leather details. 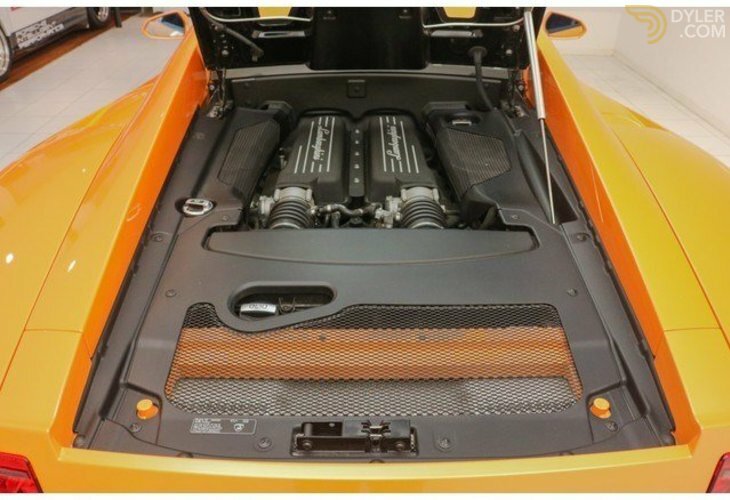 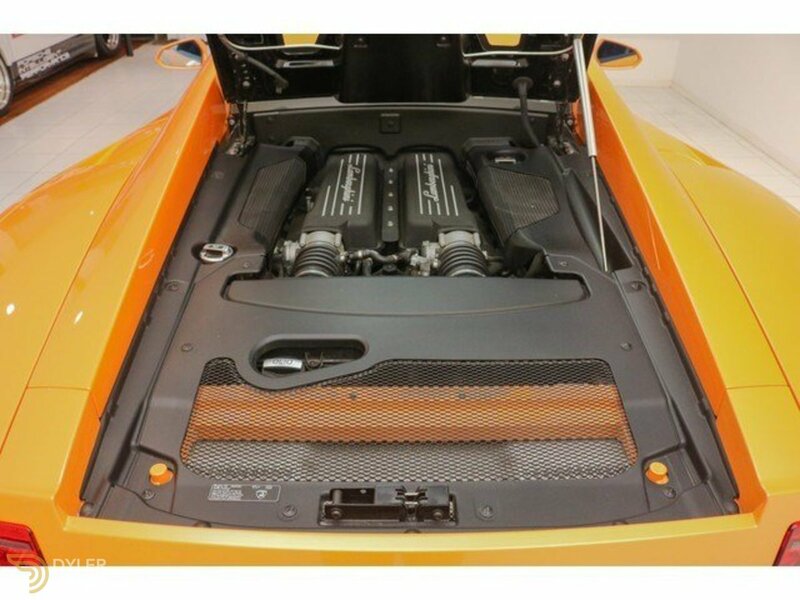 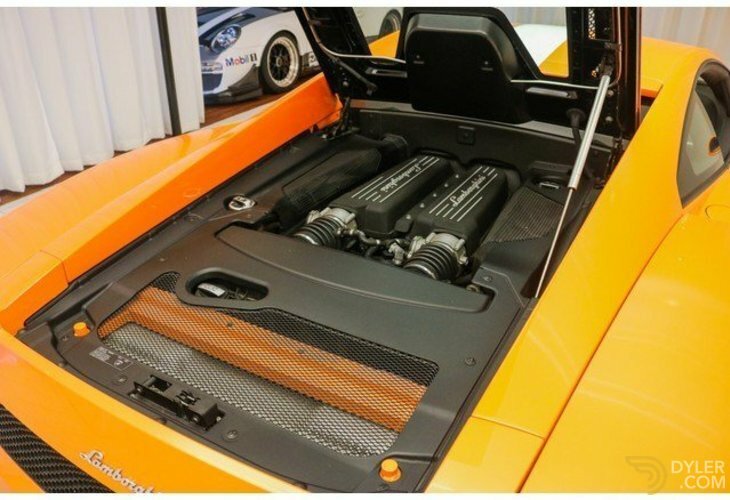 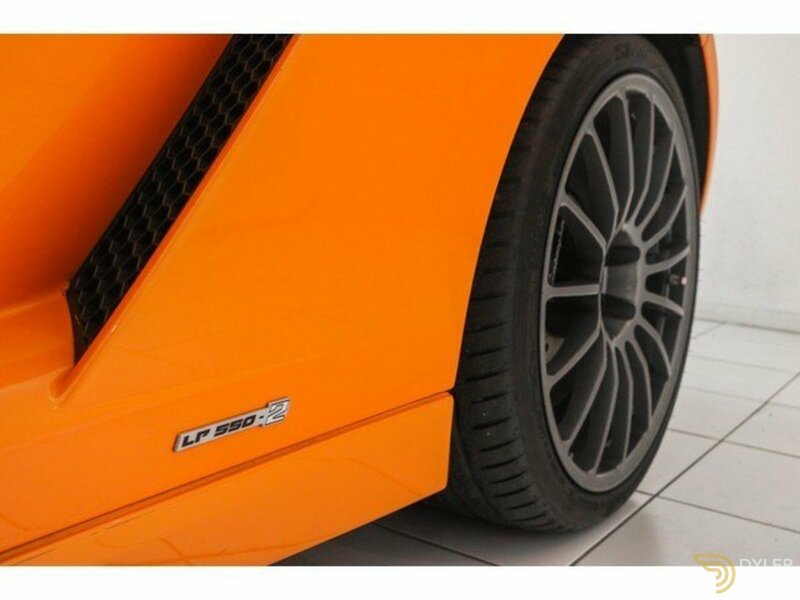 The technique of this dealer serviced Lamborghini Gallardo LP550-2 Valentino Balboni is in perfect condition. 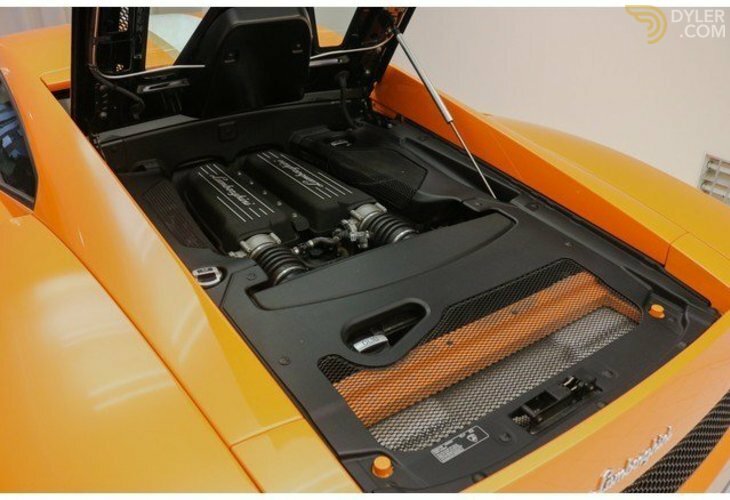 The engine is its original 10-cylinder that delivers a power of 550hp, this only delivers on the rear wheels! 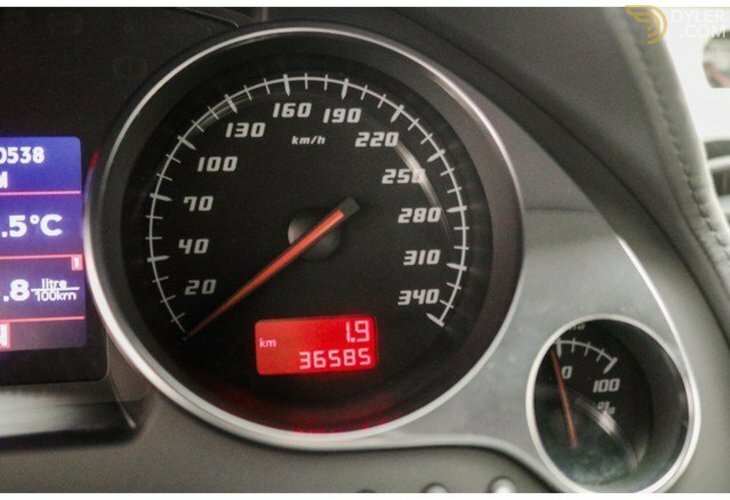 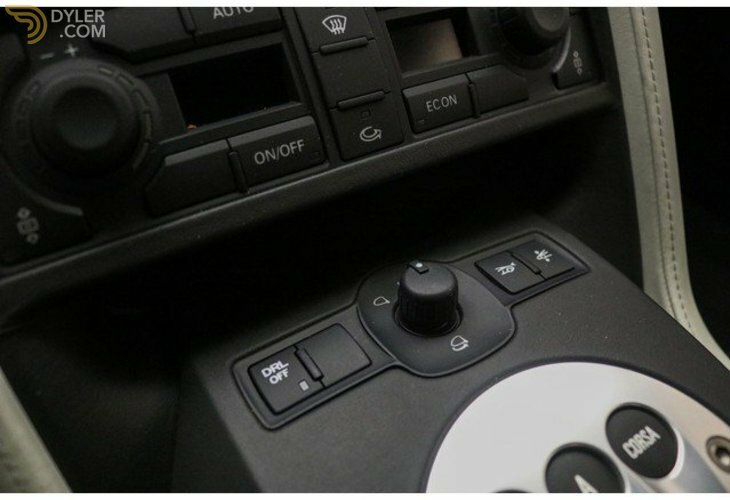 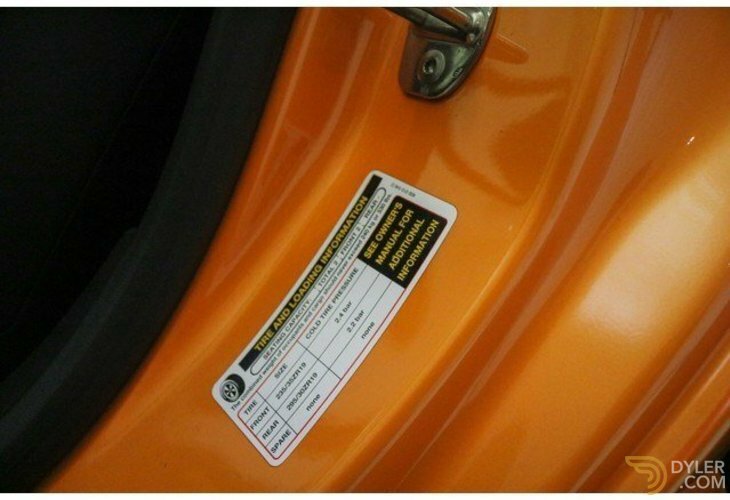 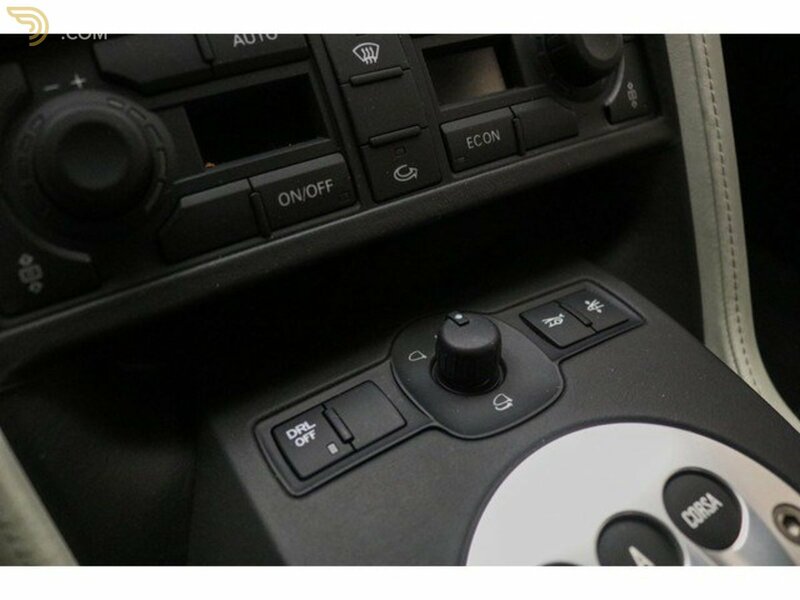 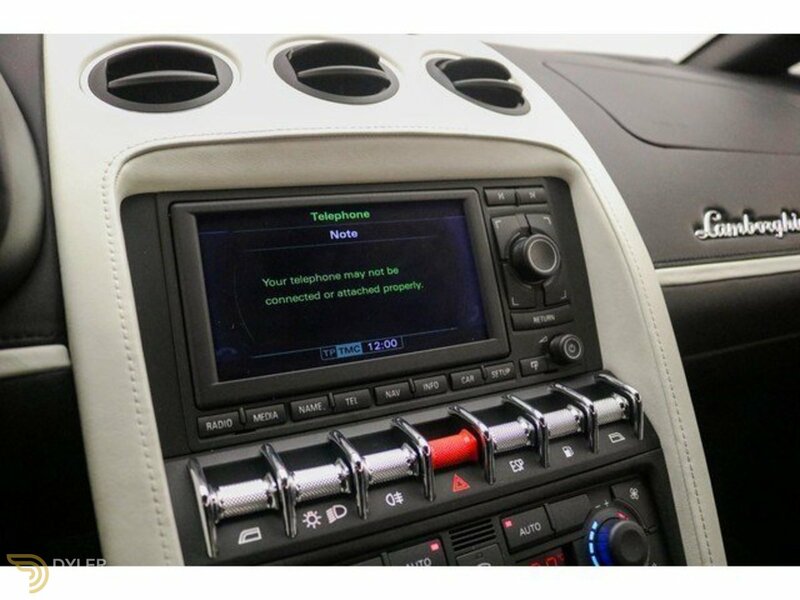 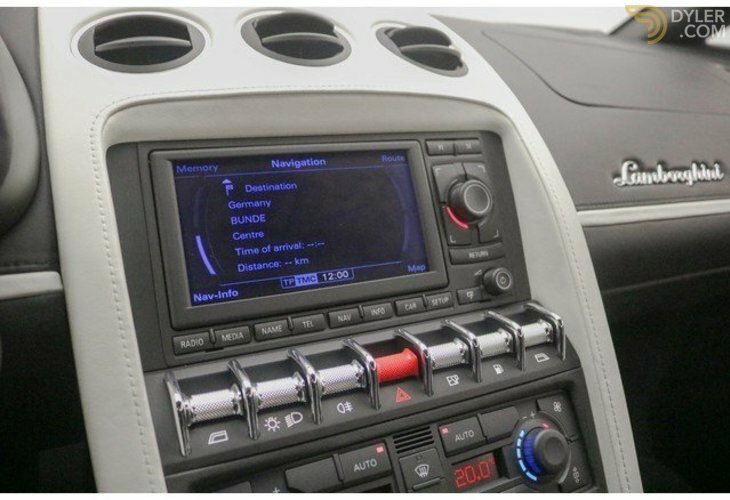 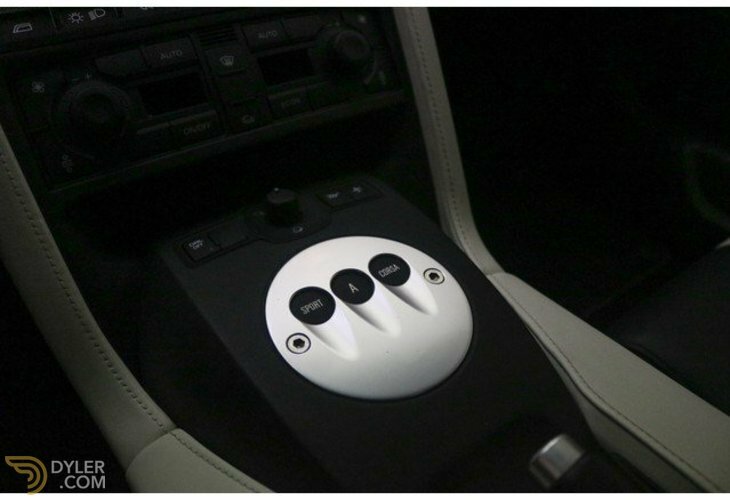 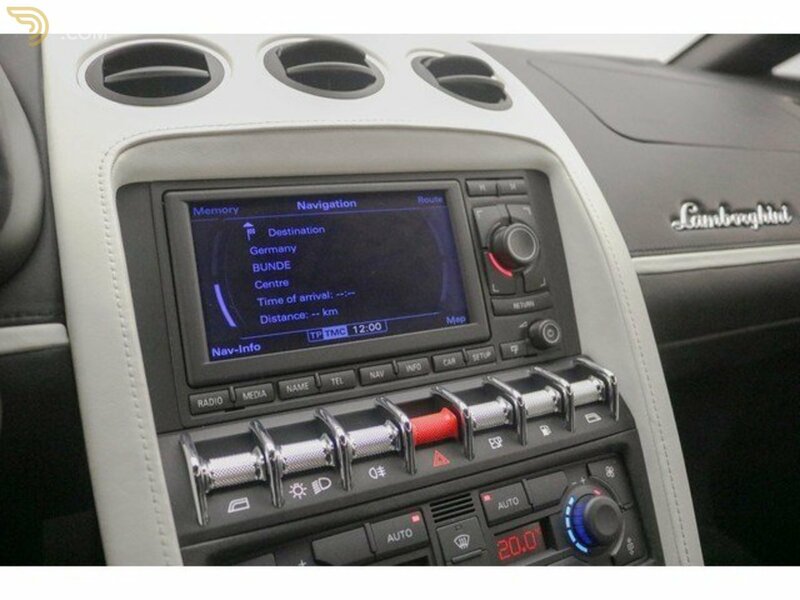 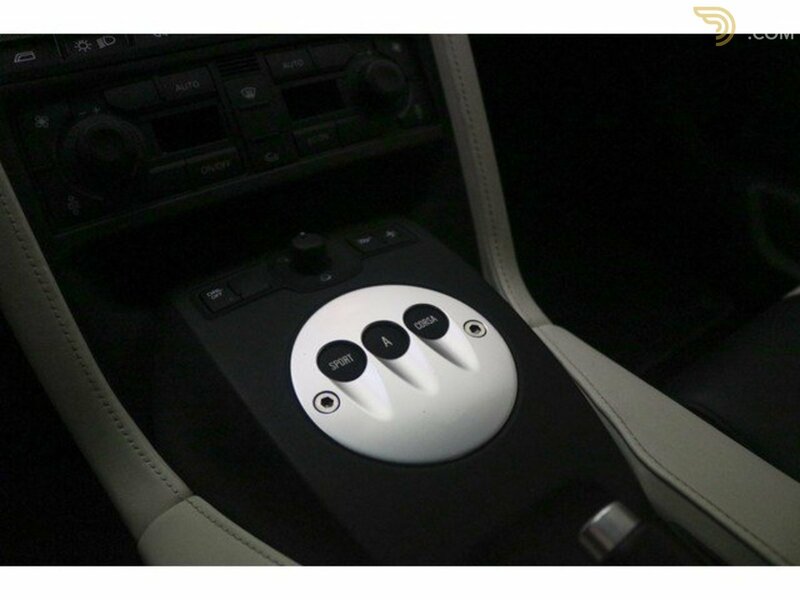 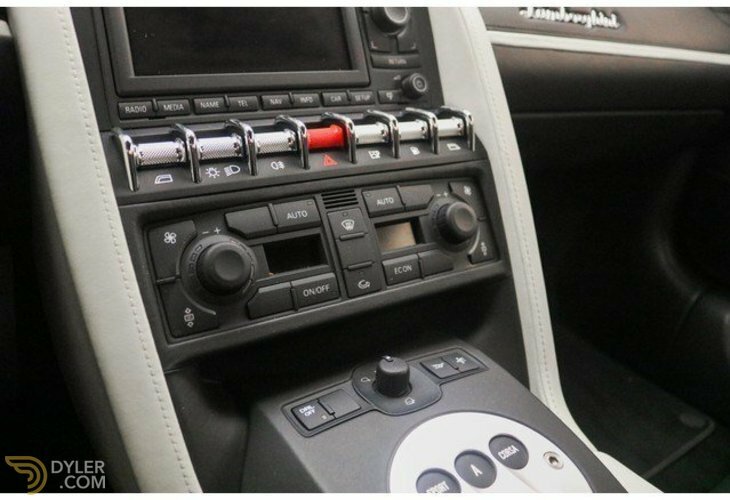 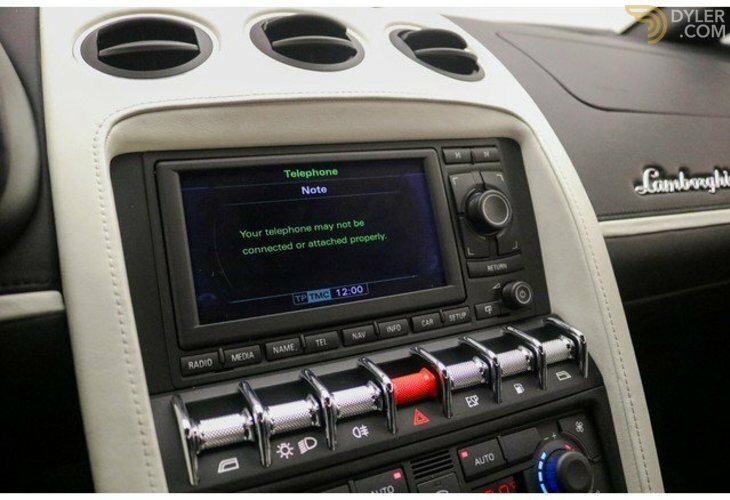 Everything is transferred by the automatic gearbox, the so-called E-Gear. 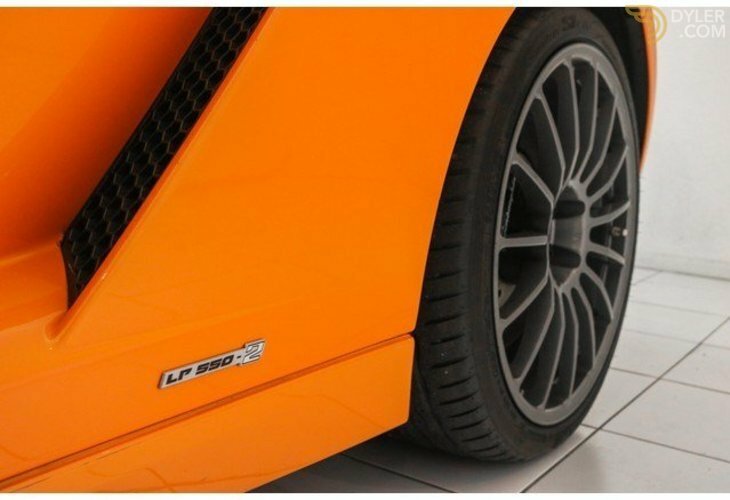 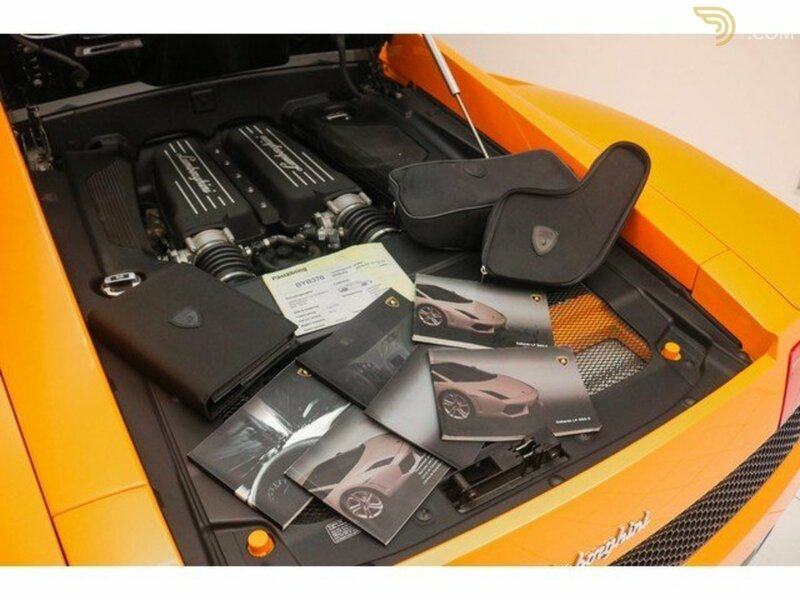 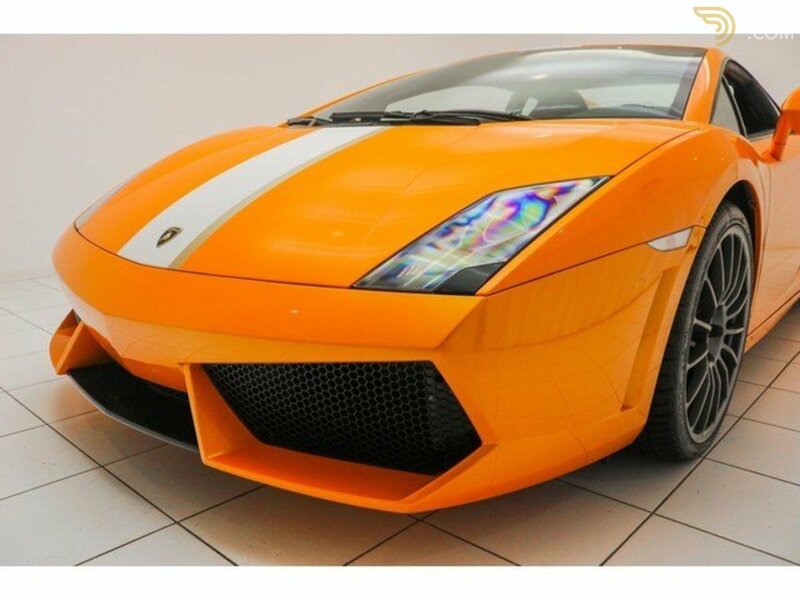 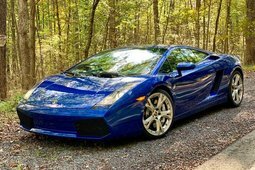 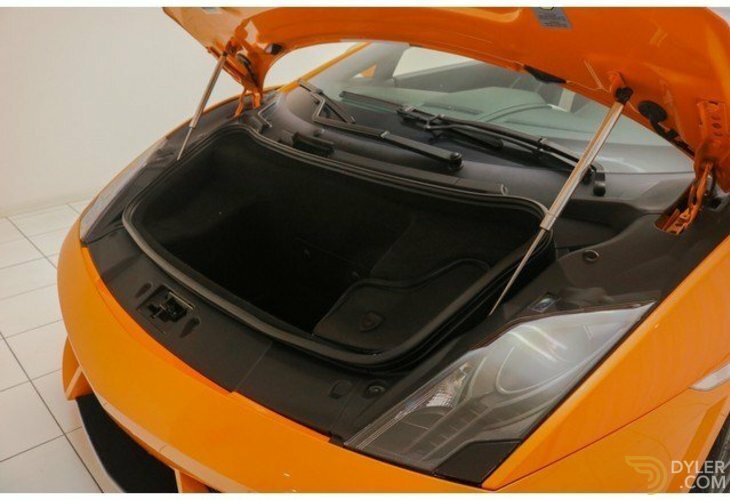 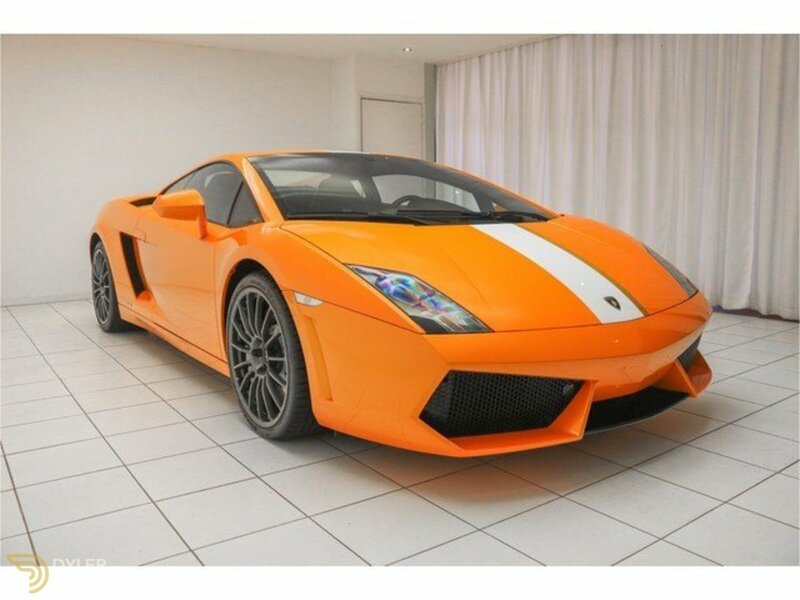 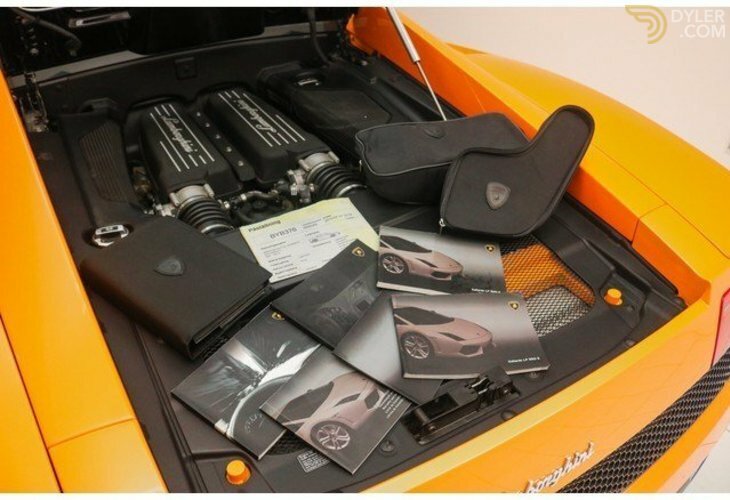 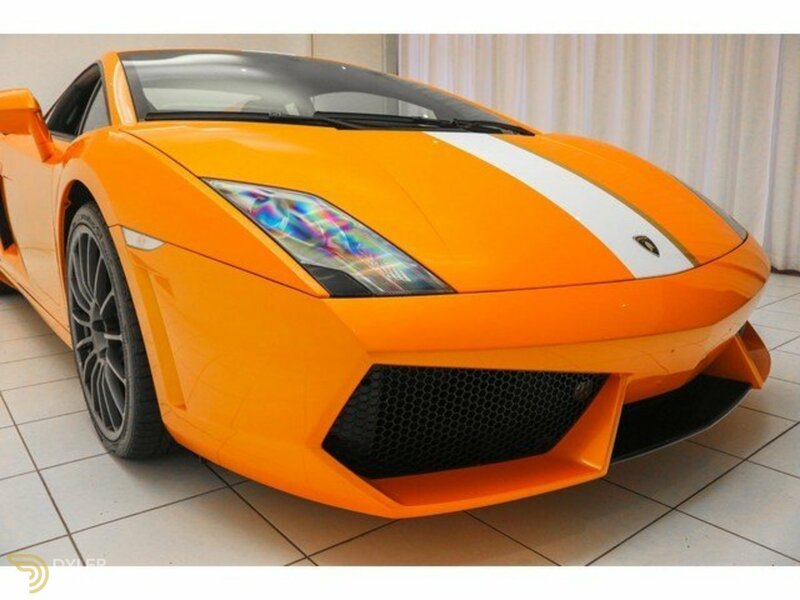 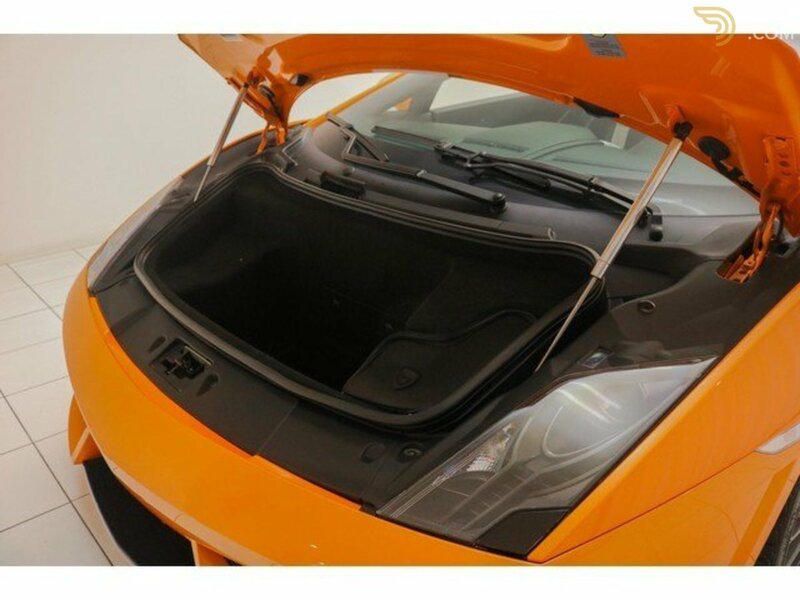 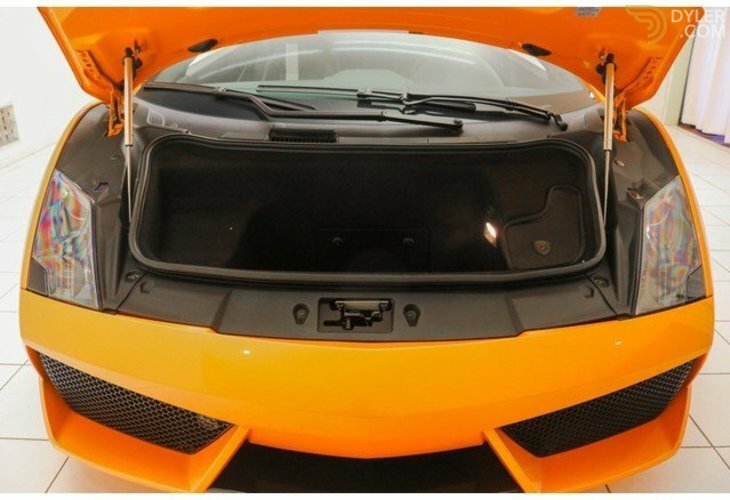 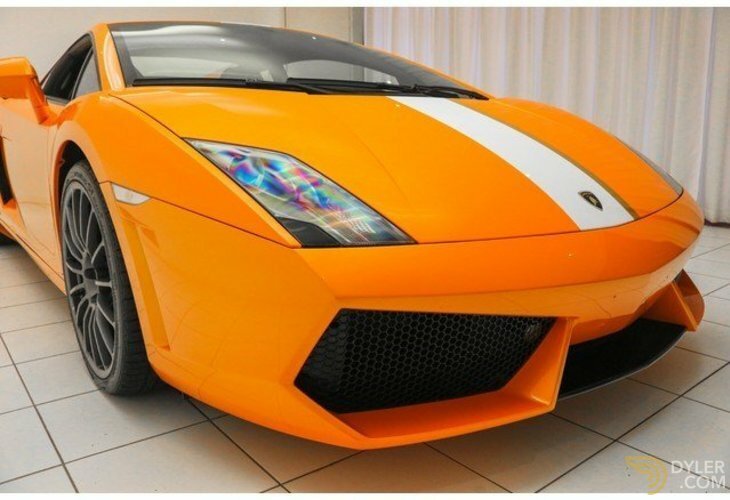 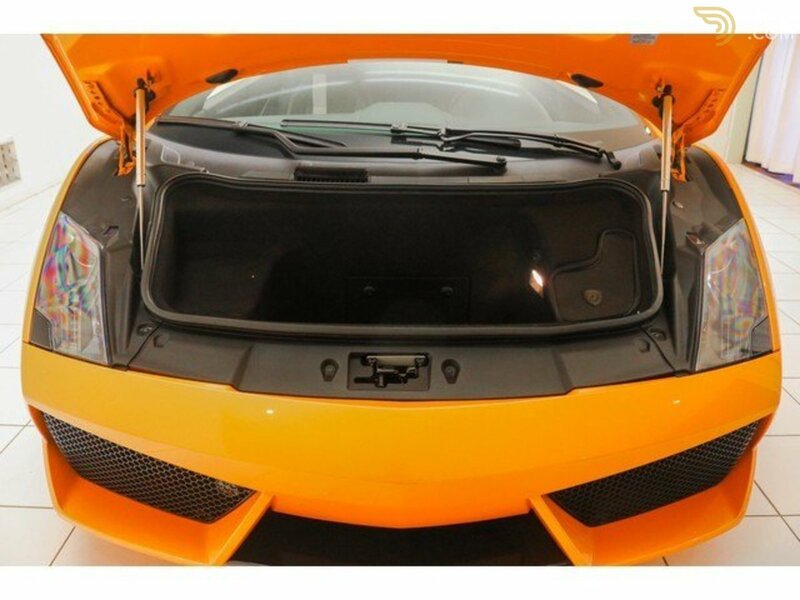 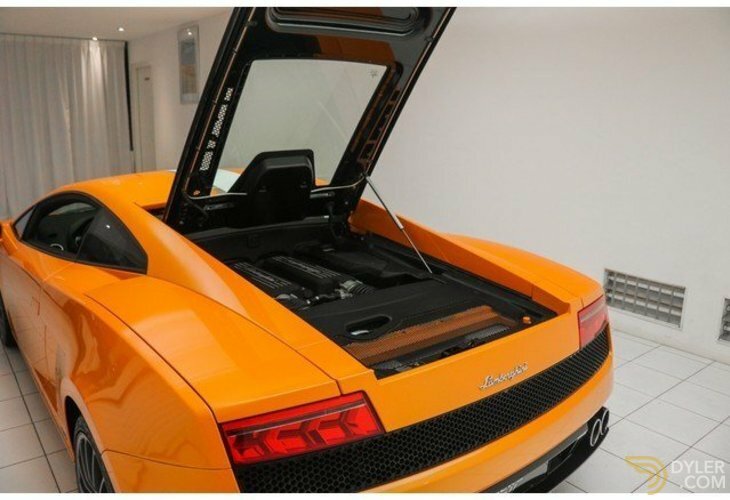 A special Lamborghini Gallardo of which only 250 pieces have been produced. 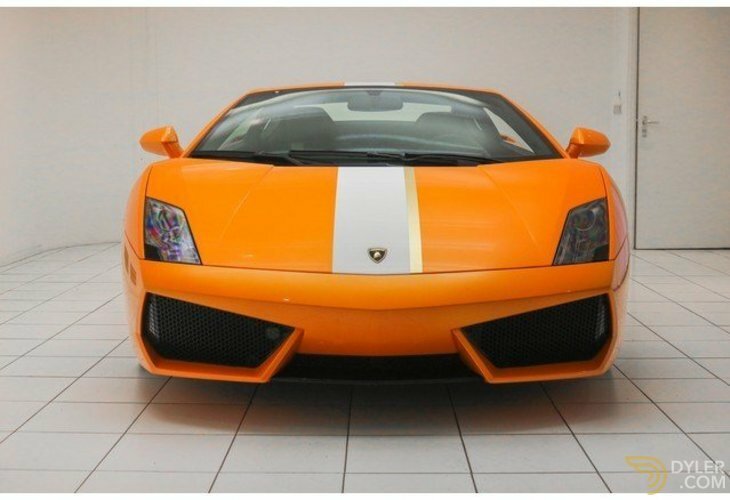 This model was built in collaboration with Lamborghini's test driver named Valentino Balboni. 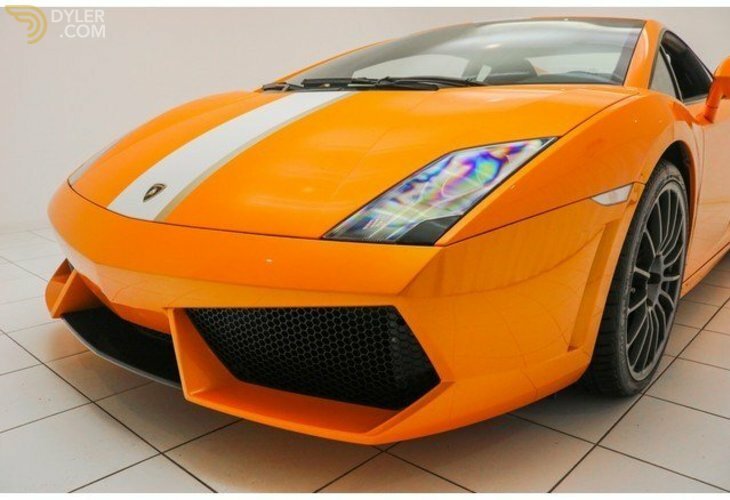 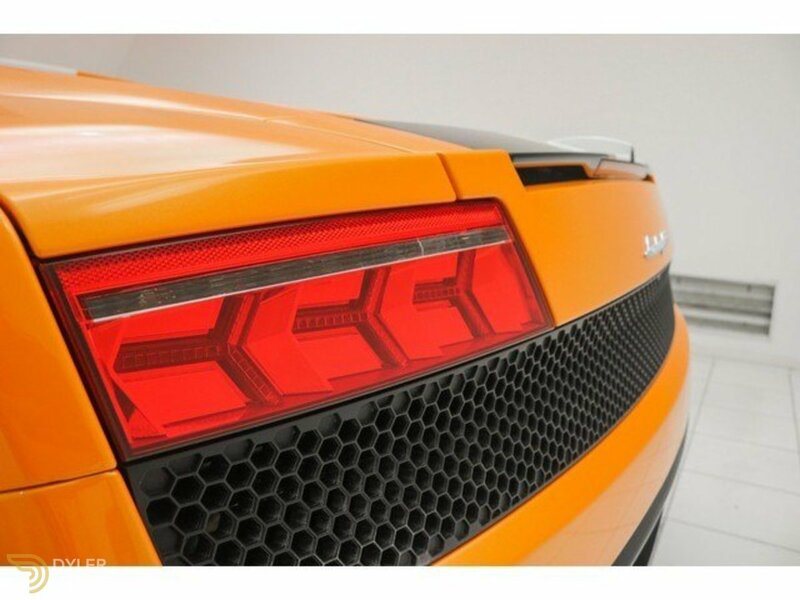 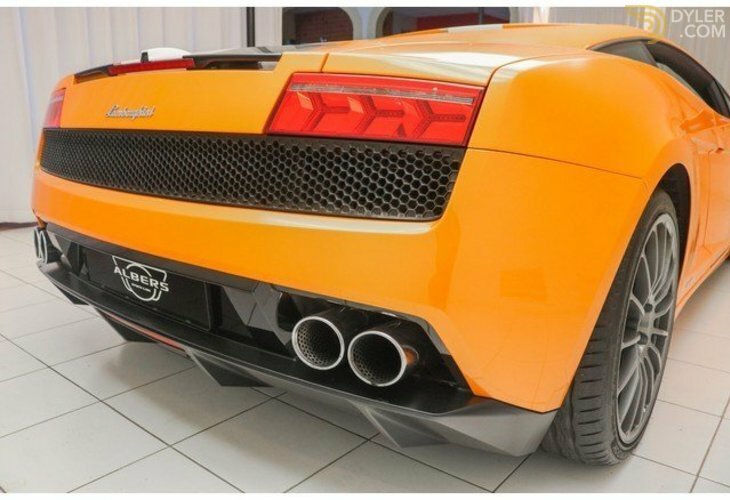 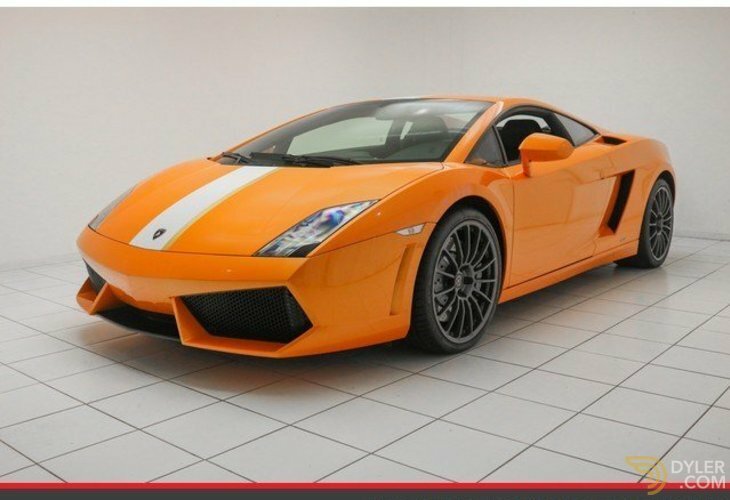 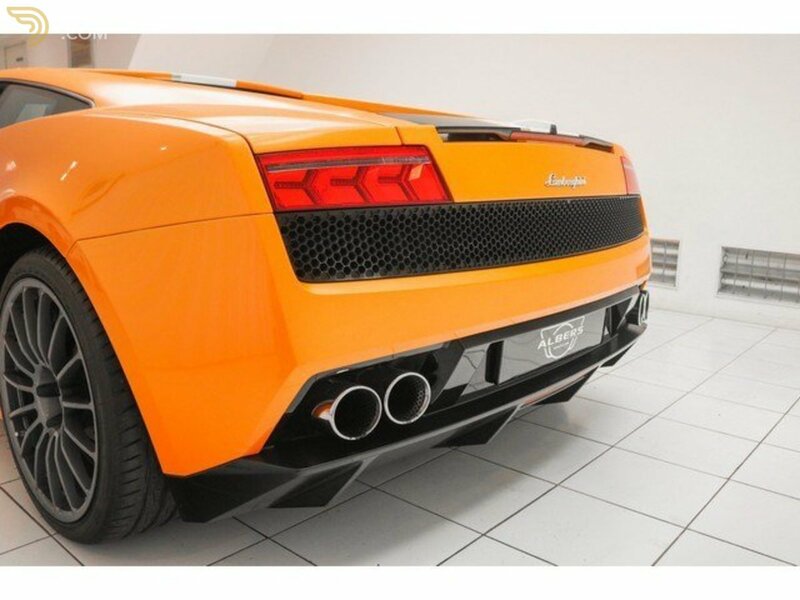 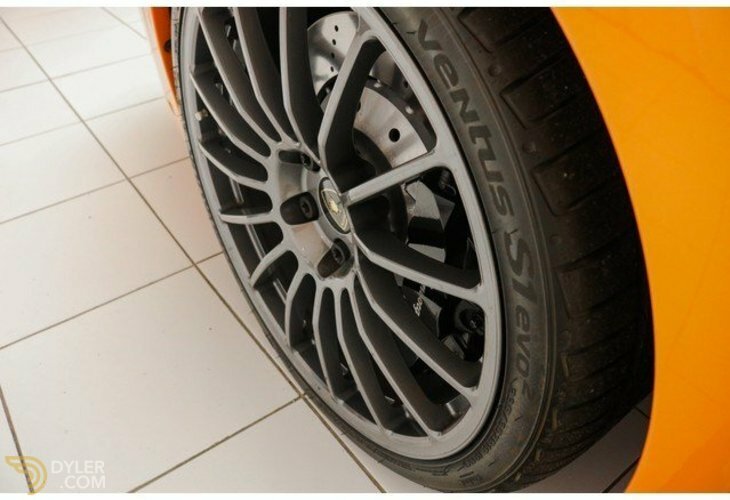 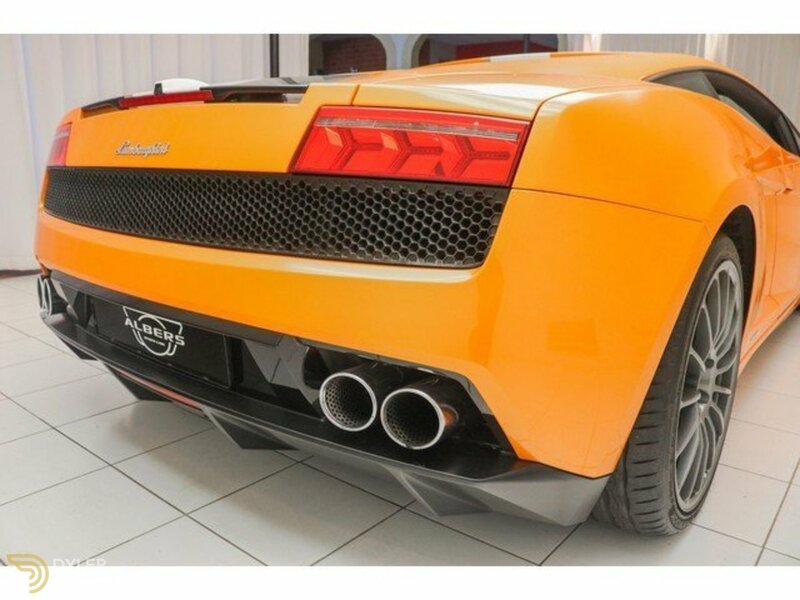 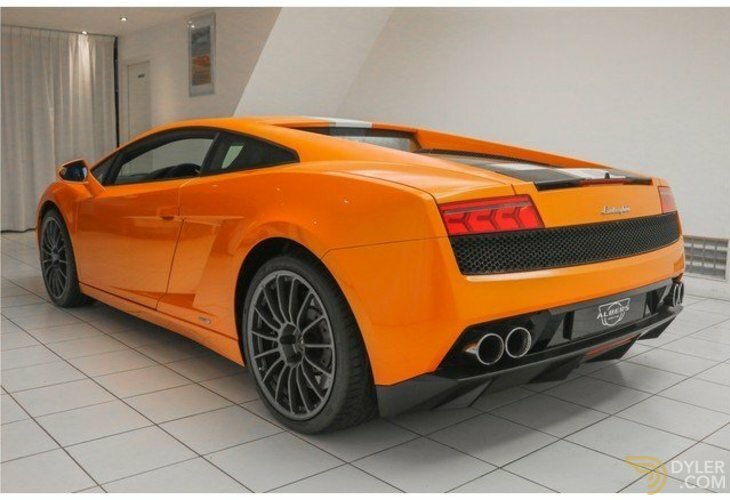 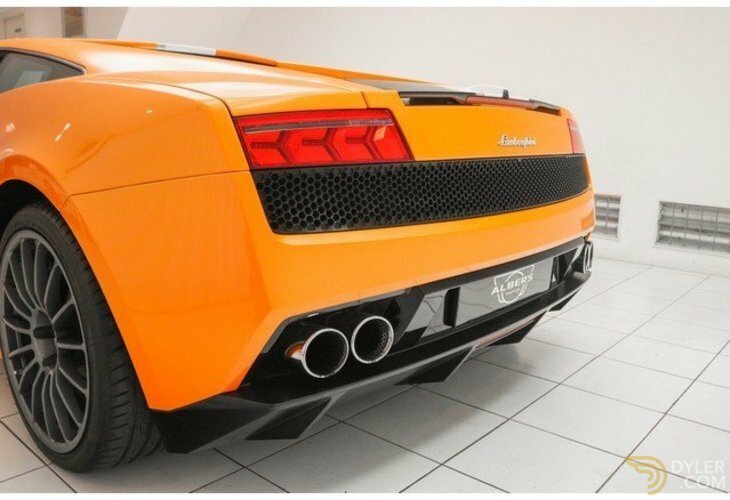 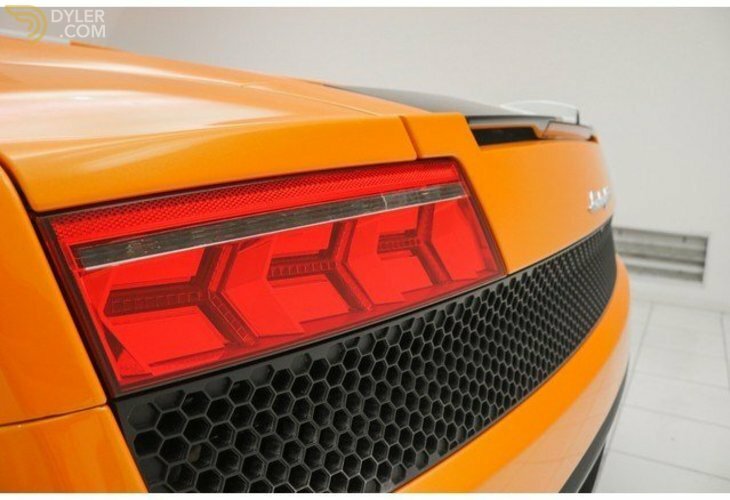 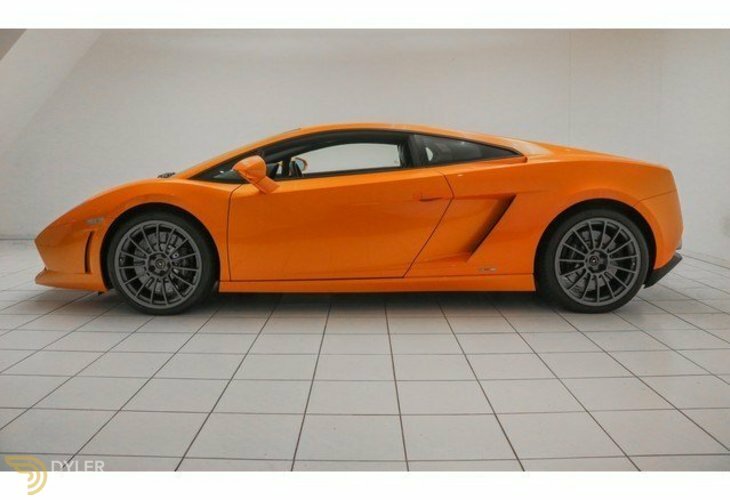 This model is therefore the first model of the Gallardo that is built with only rear wheel drive. 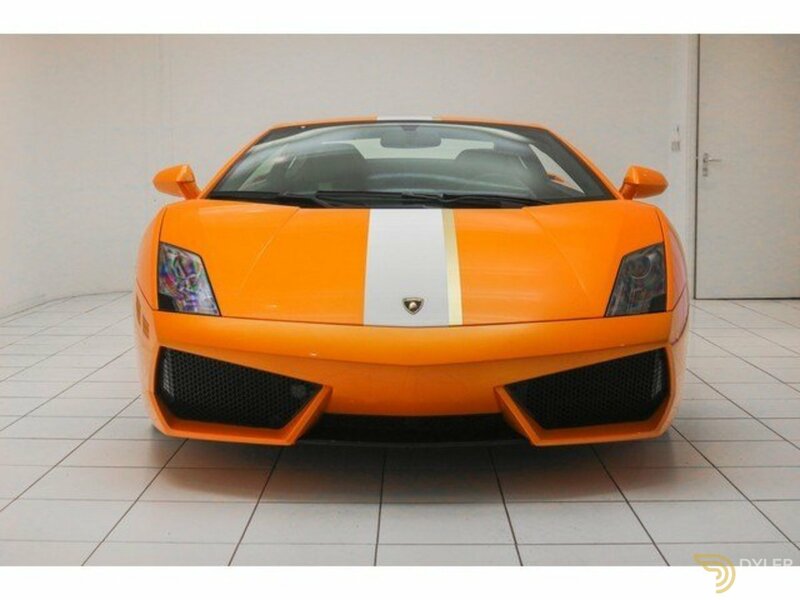 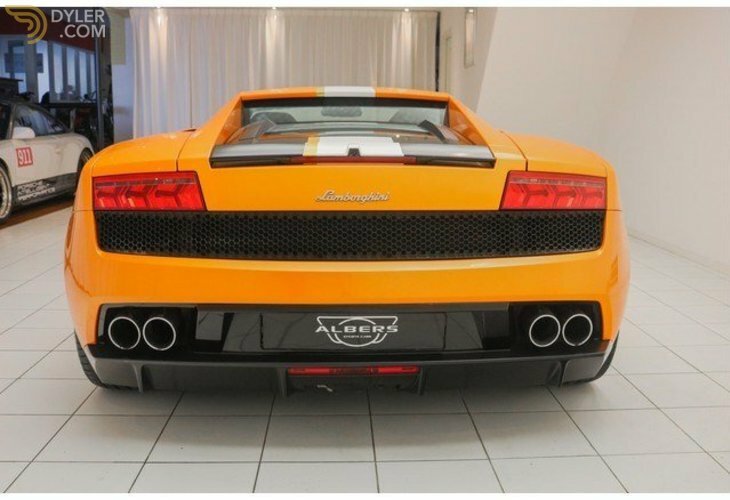 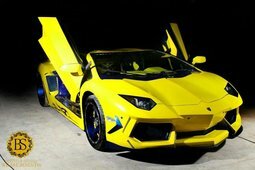 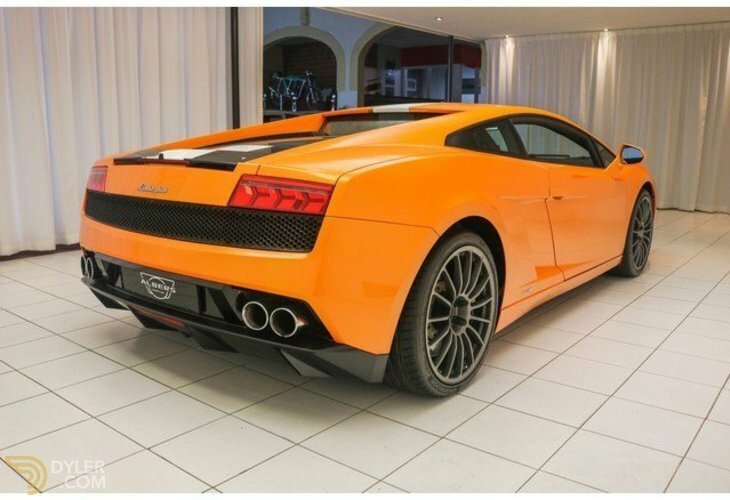 This beautiful Lamborghini is delivered new in Sweden and has had only 2 owners. 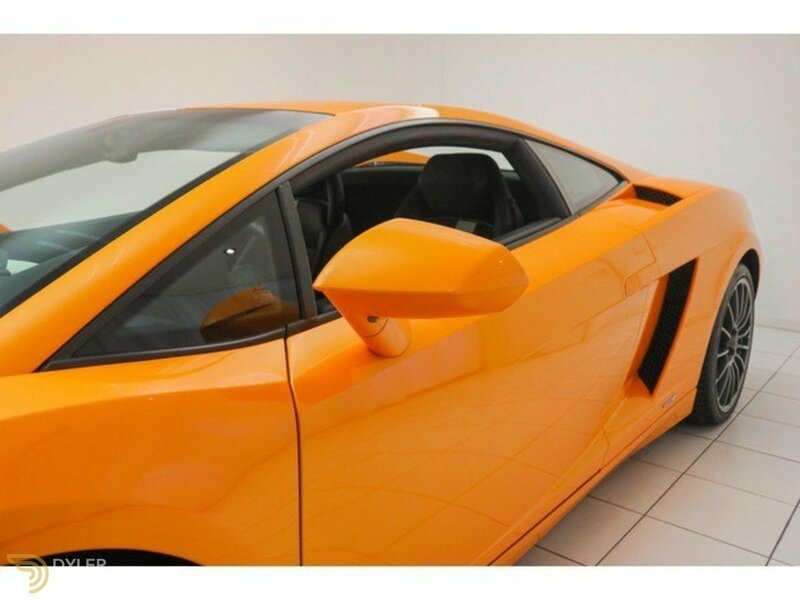 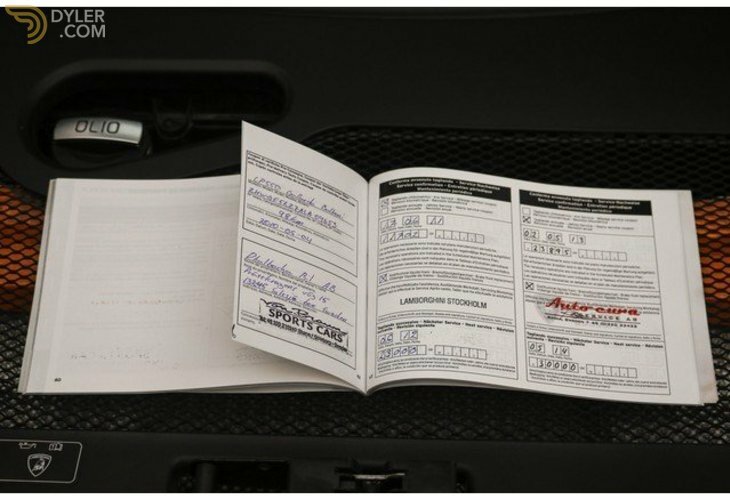 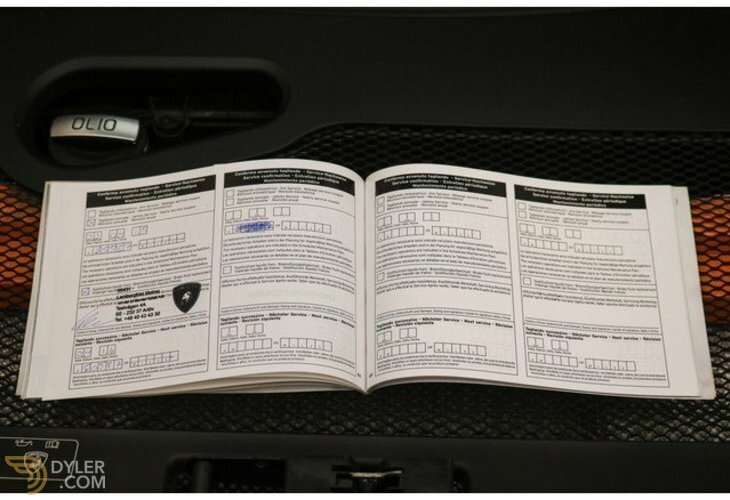 The car is fully dealer maintained and is in perfect condition. 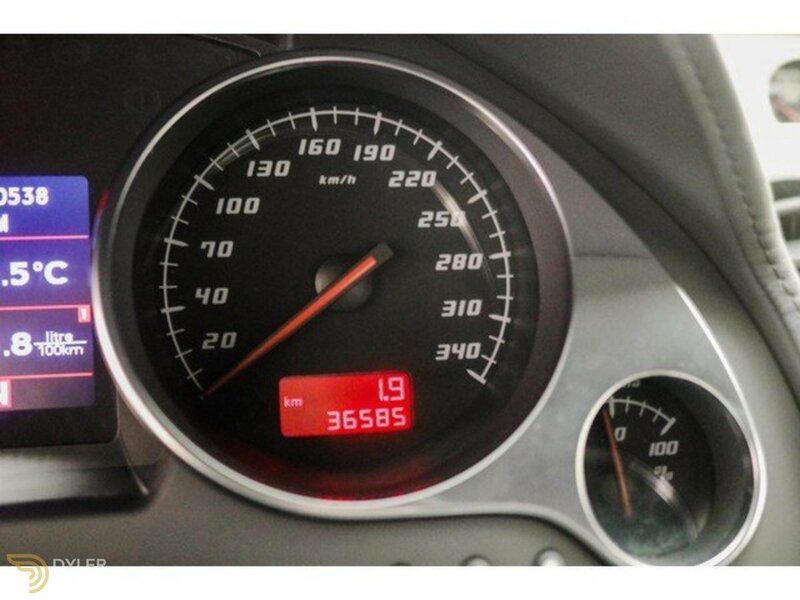 Last maintenance was at 35.587 km!